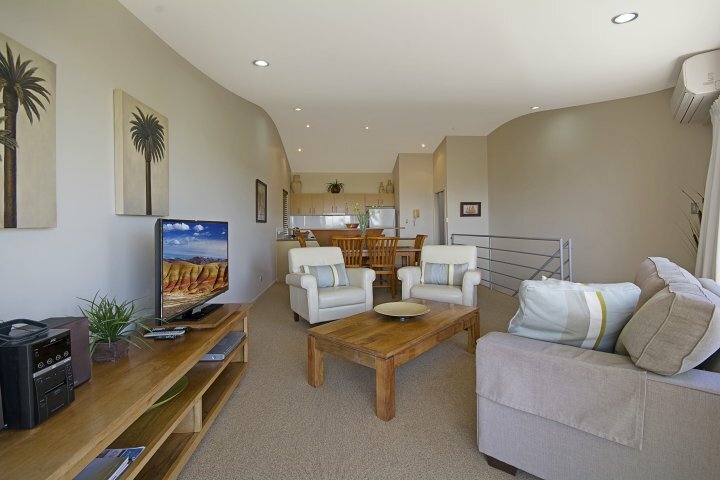 Andari is the ideal escape for couples or larger groups who want to relax and unwind. 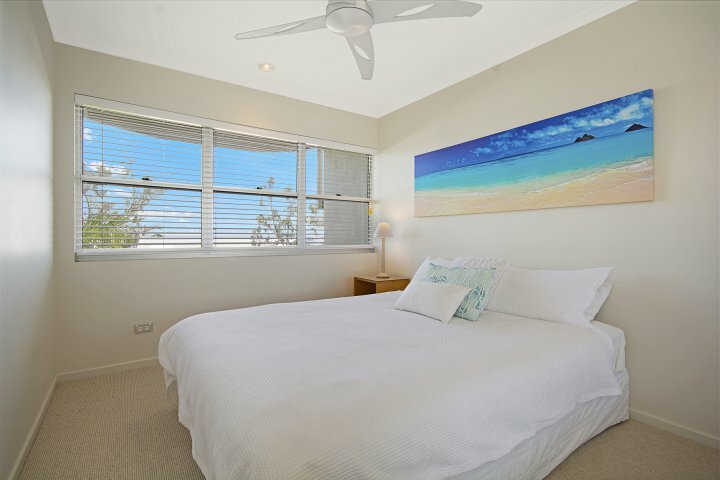 It is also less than 100 metres from the beach and a short stroll to the village centre with its award winning restaurants and cafes. 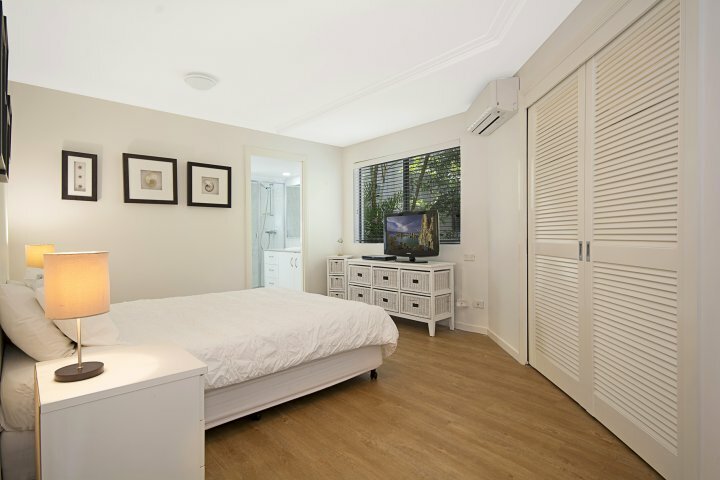 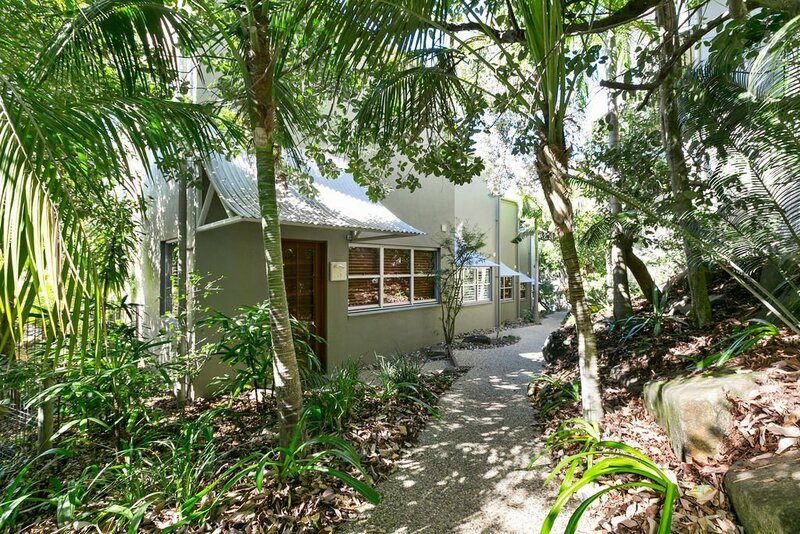 For the more energetic, there's nearby Noosa National Park and cosmopolitan Hastings Street to explore! 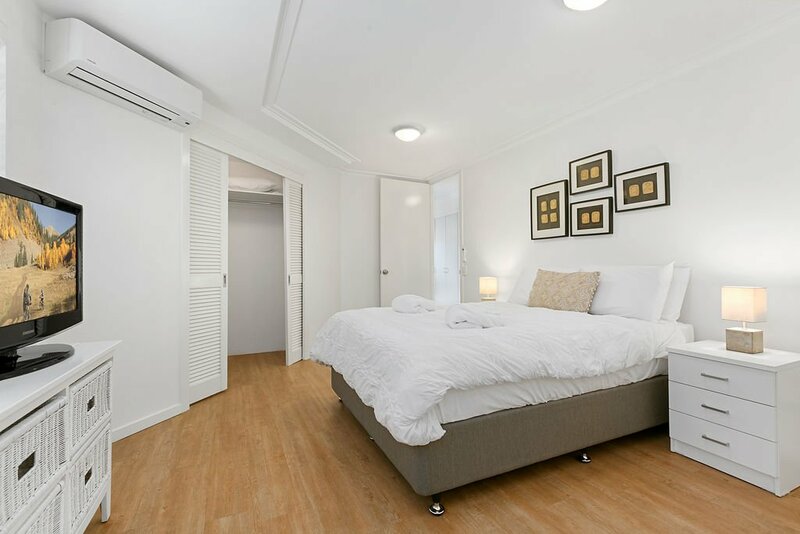 Please note that we have additional office site apartments not listed on our website that may be available. 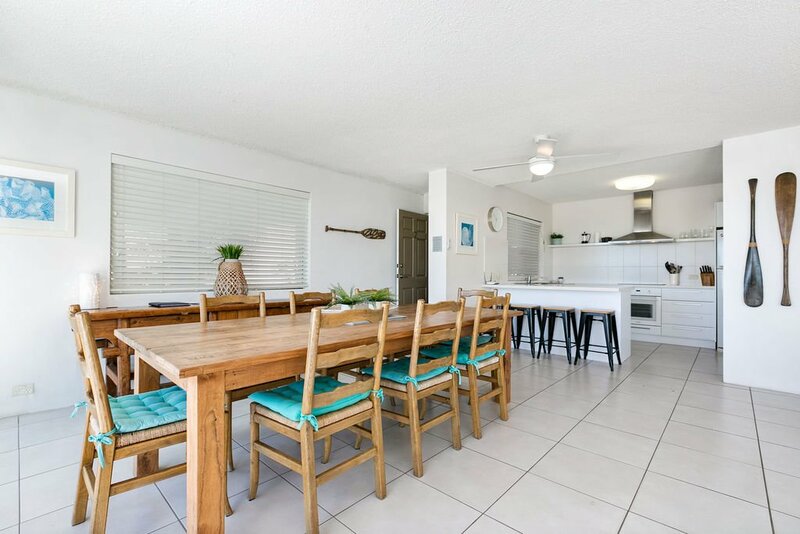 Architecturally designed 2 story air conditioned townhouse. 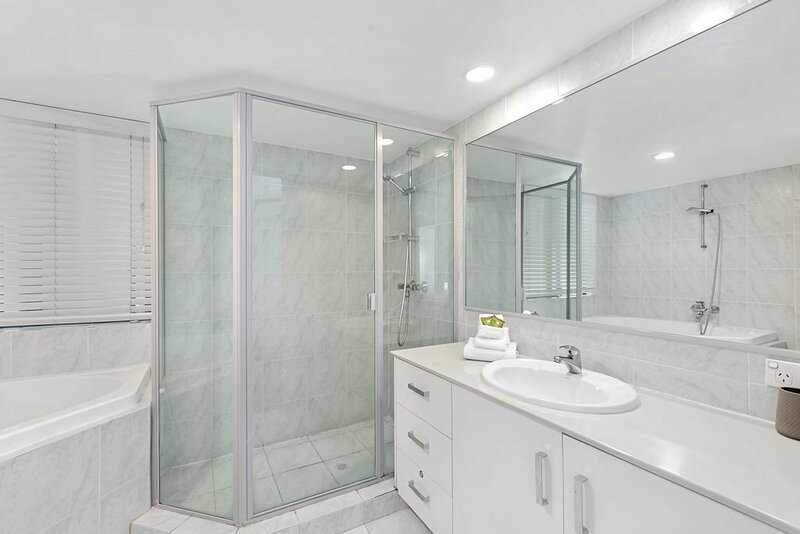 1 bedroom, 1 1/2 bathrooms. 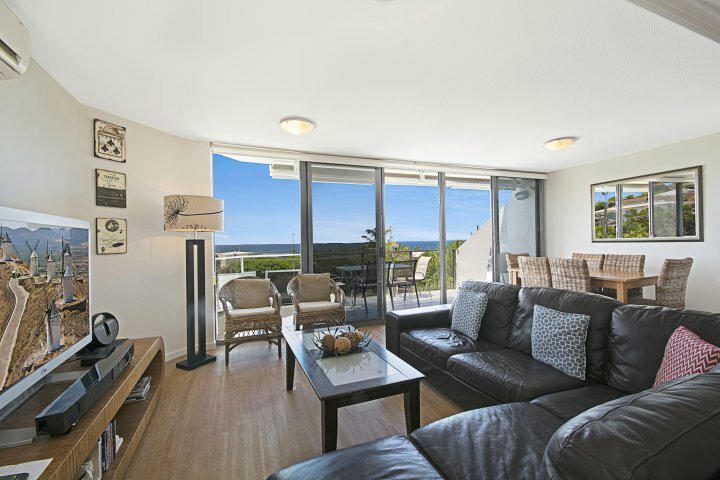 These stunning apartments offer style and comfort with a north east aspect and beautiful Sunshine Beach as its backdrop. 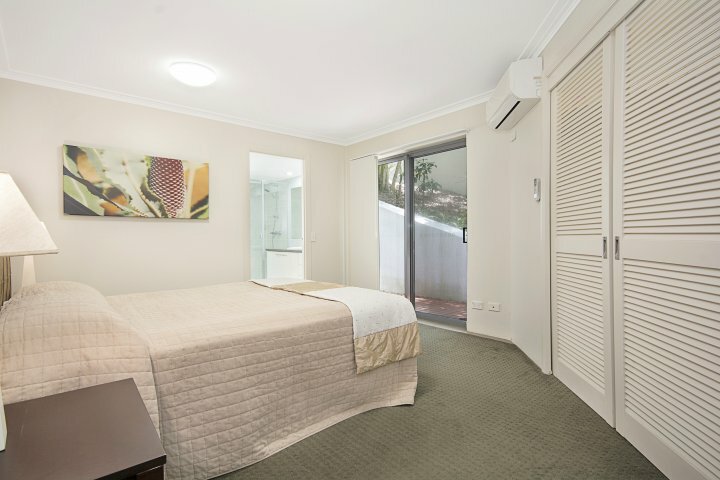 Lower level contains main bedroom with a queen size bed plus an ensuite with twin showers. 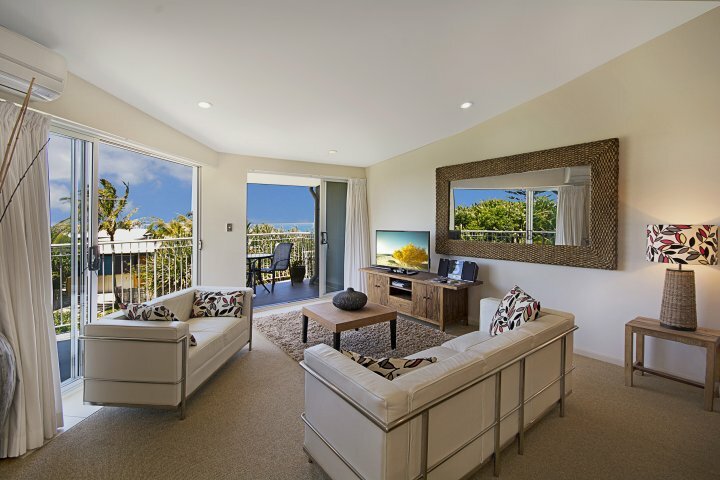 Laundry included.Top level offers a fully equipped kitchen,dining,lounge and balcony all overlooking the ocean. 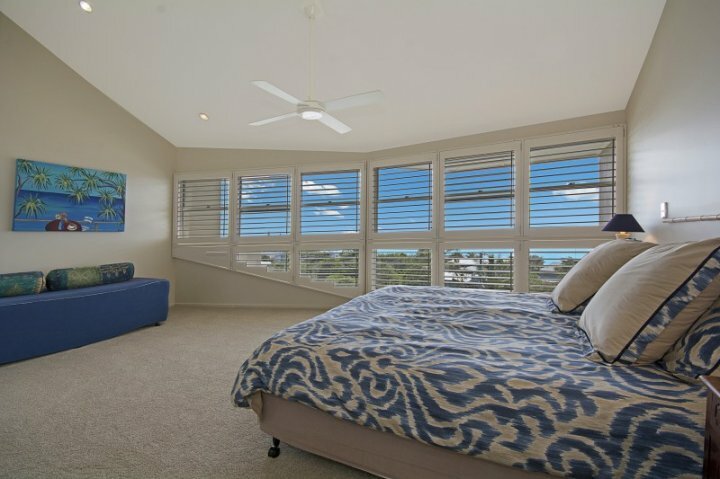 Architecturally designed 2 story air conditioned townhouse. 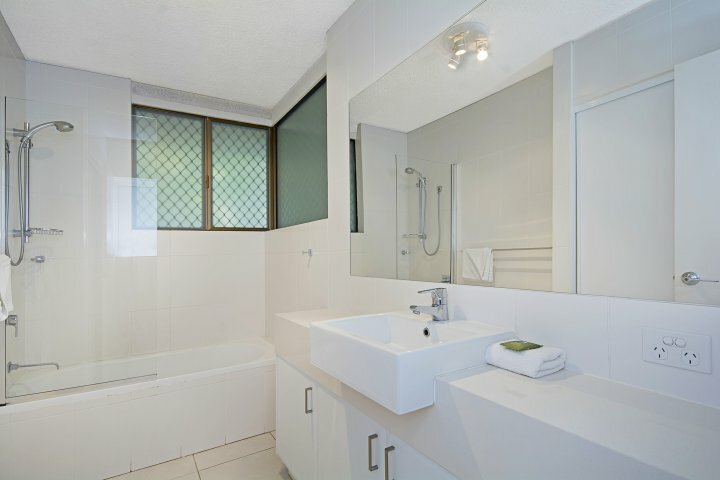 1 bedroom, with ensuite bathroom and second 1/2 bathroom. 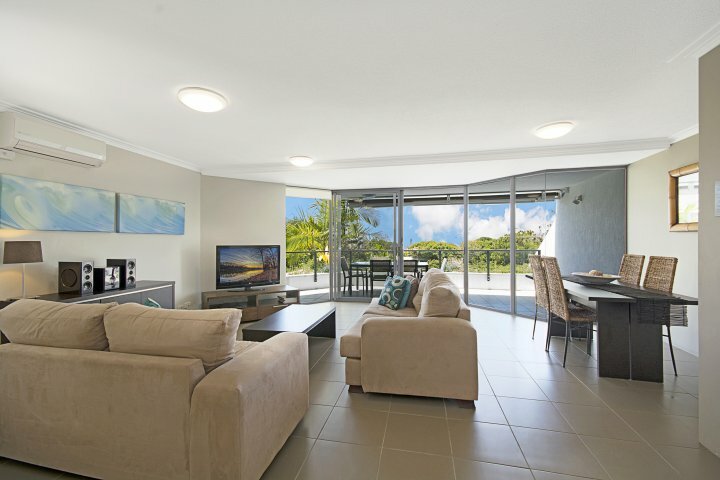 These stunning apartments offer style and comfort with a north east aspect and beautiful Sunshine Beach as its backdrop. 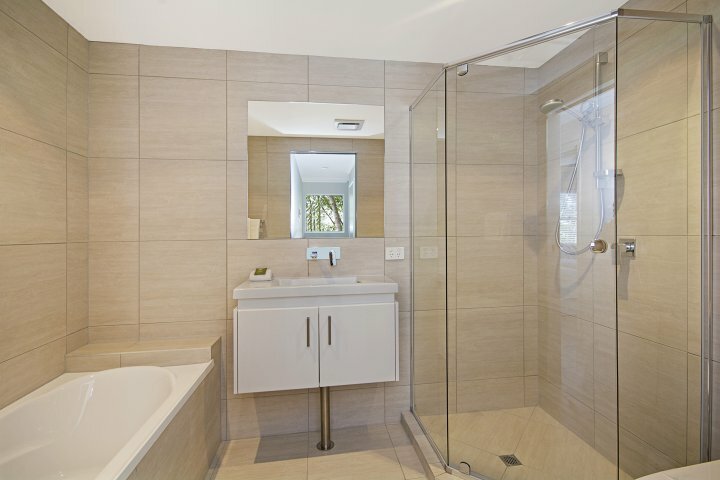 Lower level contains main bedroom with a queen size bed plus an ensuite with twin showers. 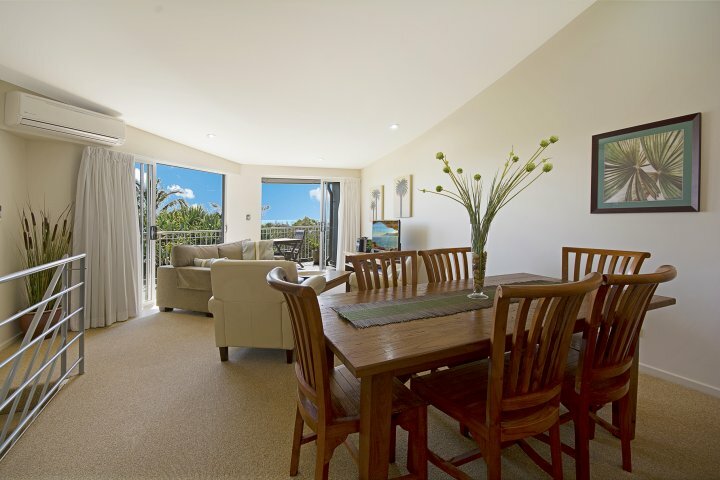 Laundry included.Top level offers a fully equipped kitchen,dining,lounge and balcony all with filtered ocean views. 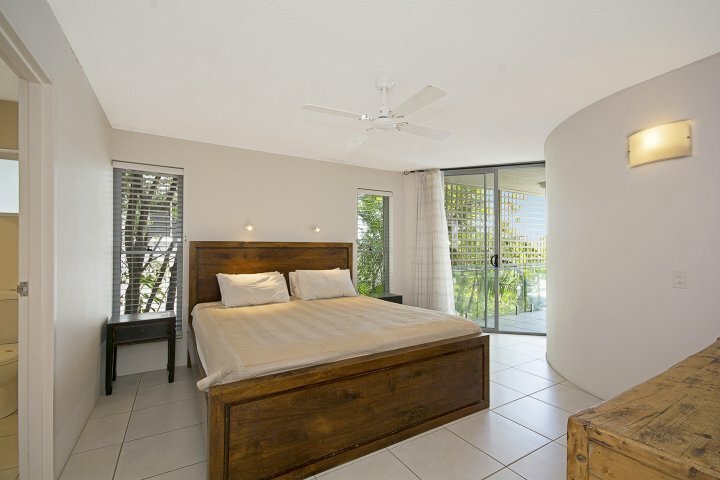 Architecturally designed 2 bedroom, 2 bathroom, air conditioned, 2 story townhouse. 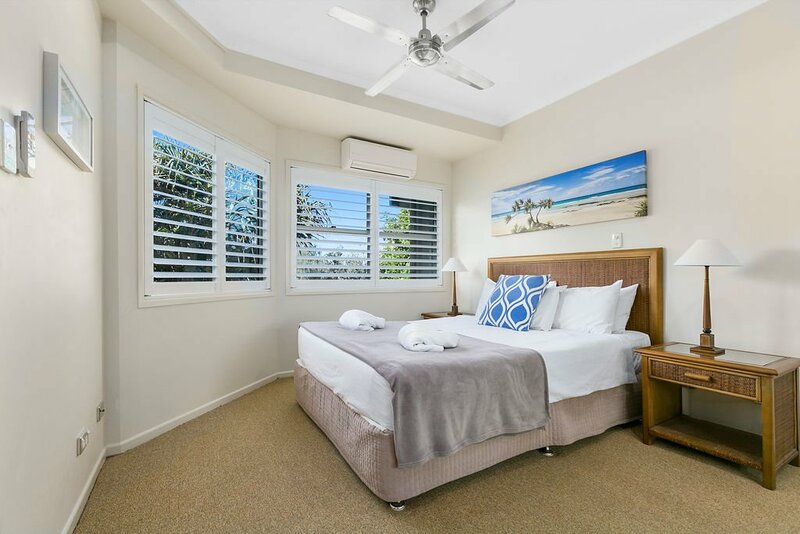 All furnishings carefully selected, with beautiful Sunshine Beach as a backdrop these apartments offer luxury, style and comfort to help you relax and unwind on your stay. 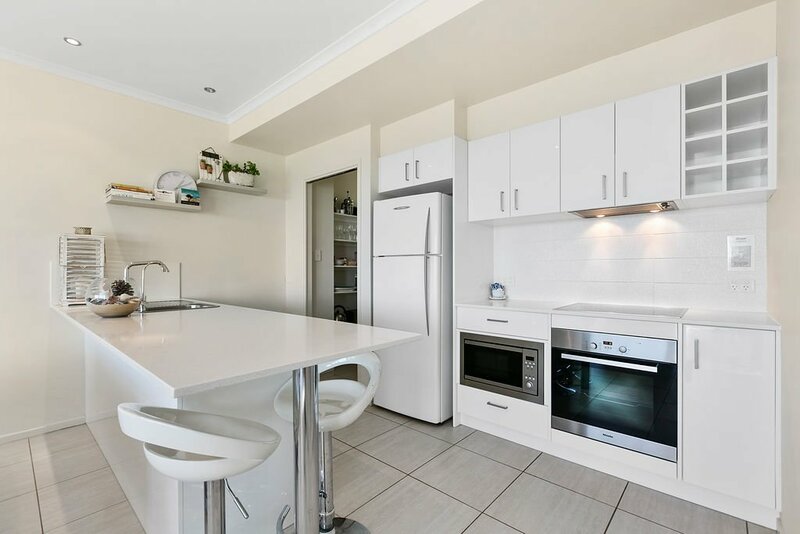 With a north east aspect and great ocean views, apartment also includes fully equipped kitchen and laundry. 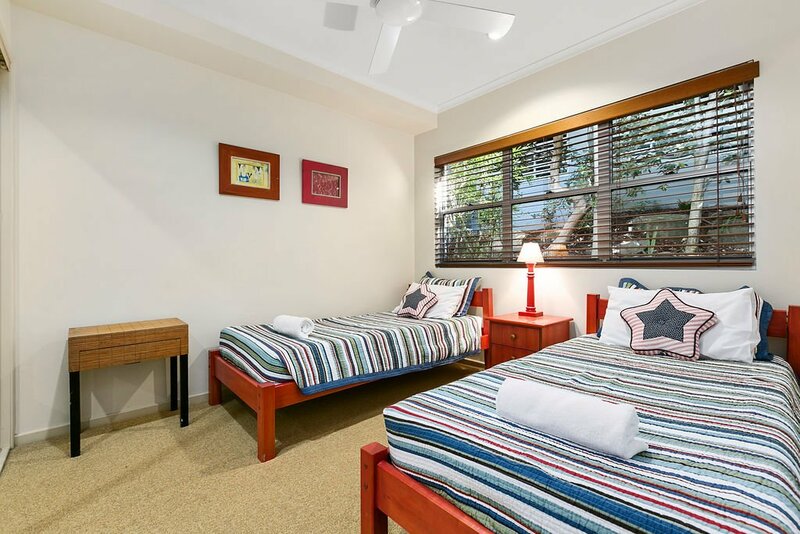 2 Night Stay only available in low season. 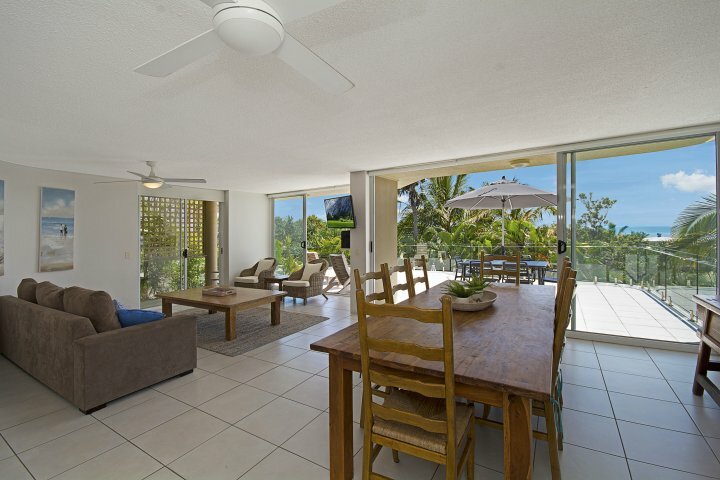 Architecturally designed 2 bedroom, 2 bathroom, air conditioned, 2 story townhouse. 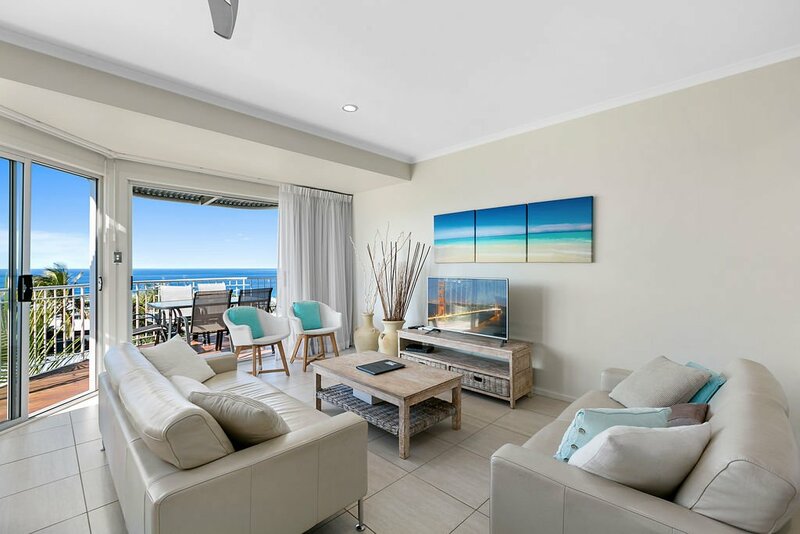 All furnishings carefully selected, with beautiful Sunshine Beach as a backdrop these apartments offer luxury, style and comfort to help you relax and unwind on your stay. 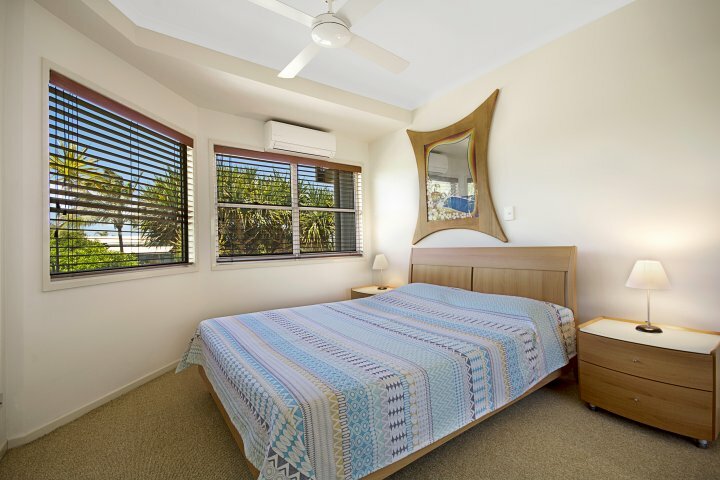 With a north east aspect and great ocean views, apartment also includes fully equipped kitchen and laundry. 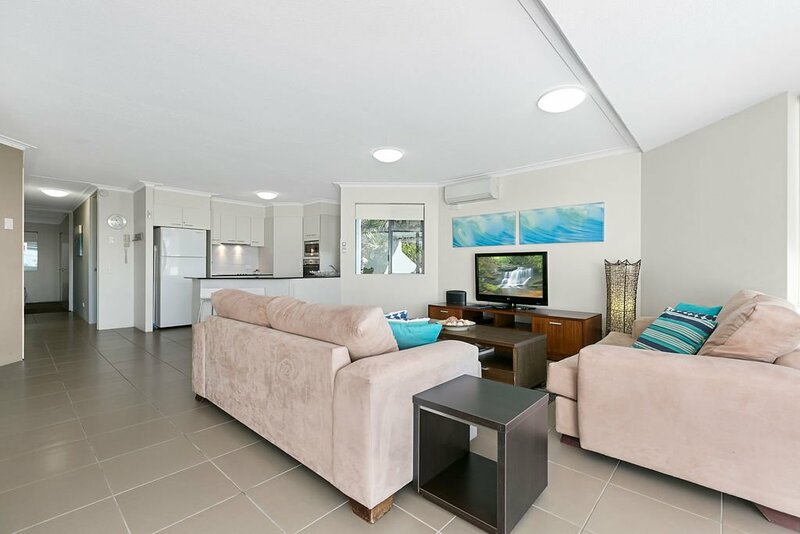 Architecturally designed 2 bedroom, 2 bathroom, air conditioned, 2 story townhouse. 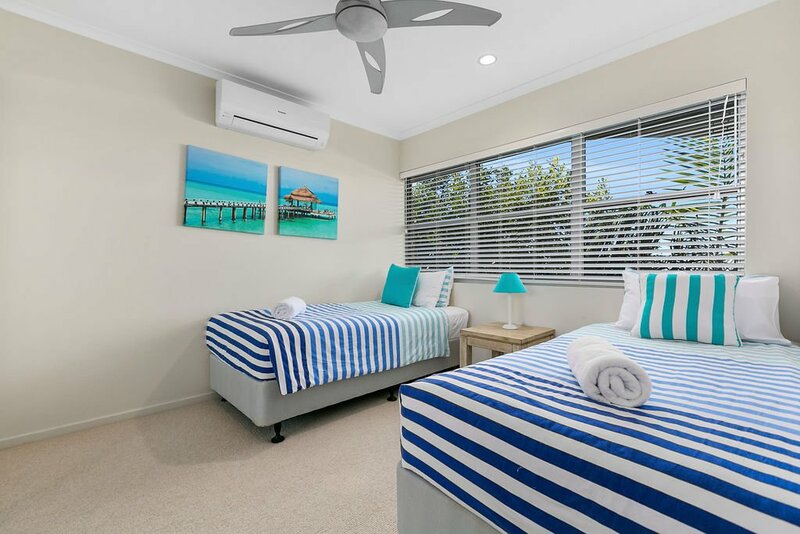 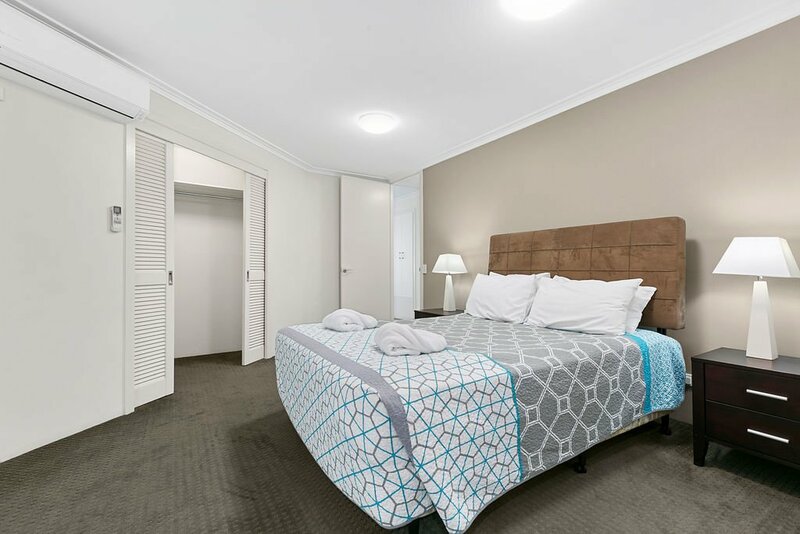 All furnishings carefully selected, with beautiful Sunshine Beach as a backdrop these apartments offer individually style and comfort to help you relax and unwind on your stay. 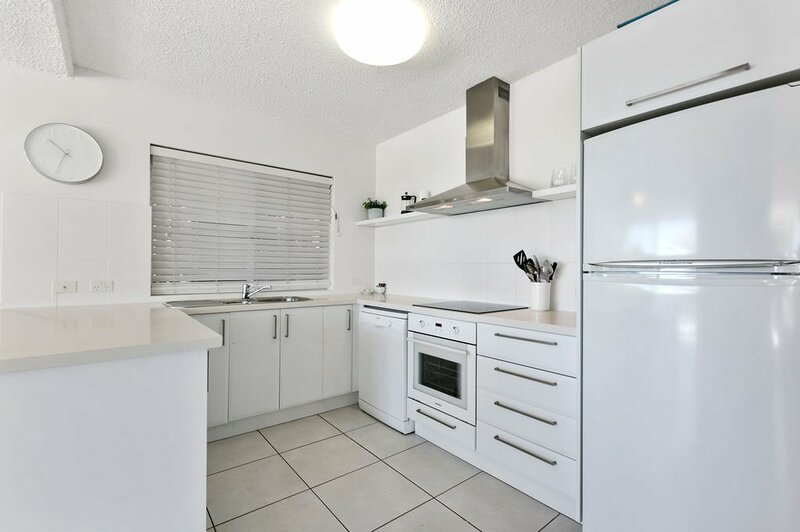 With a north east aspect and great ocean views, apartment also includes fully equipped kitchen and laundry. 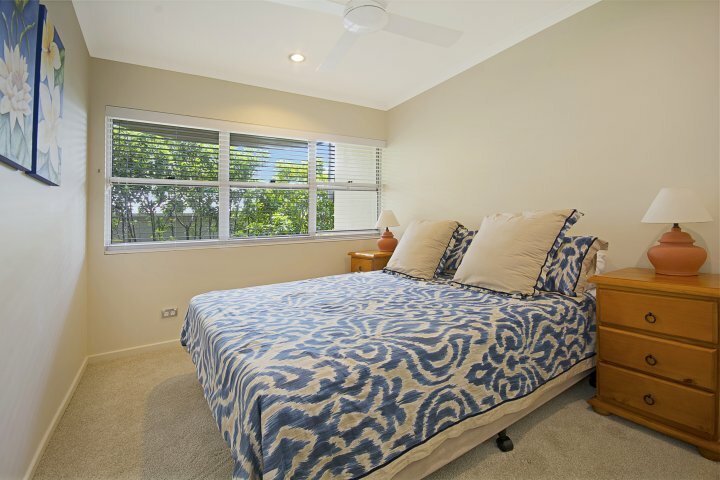 Luxuriously appointed 3/4 bedroom, 2 bathroom, air conditioned, architecturally designed 3 story townhouse. 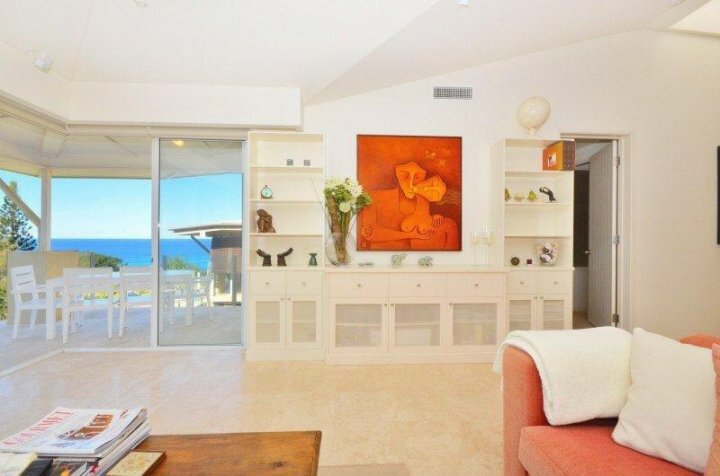 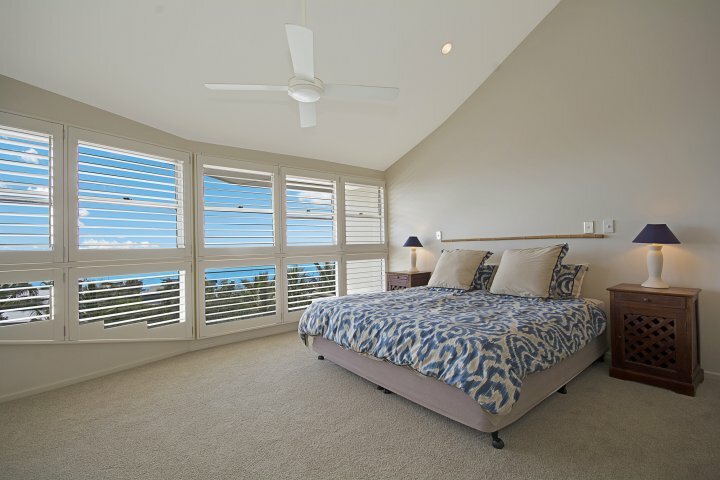 Features include master bedroom with ceiling to floor windows over looking the ocean. 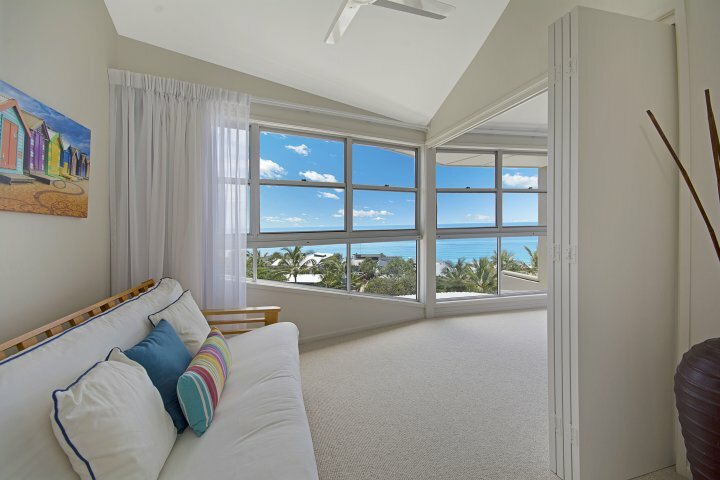 This main bedroom can be divided into 2 rooms with a sliding wall. 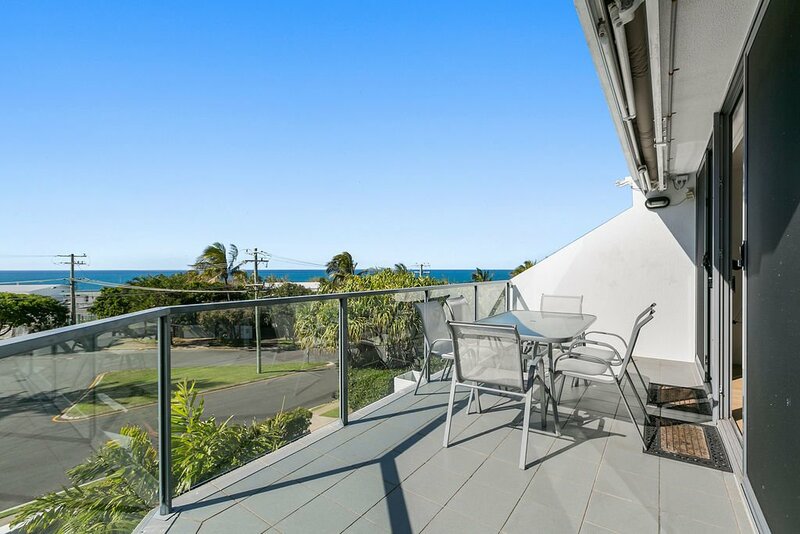 Plus a double show in the ensuite .Large dining/lounge/balcony area all capturing sublime ocean views from a north east aspect. 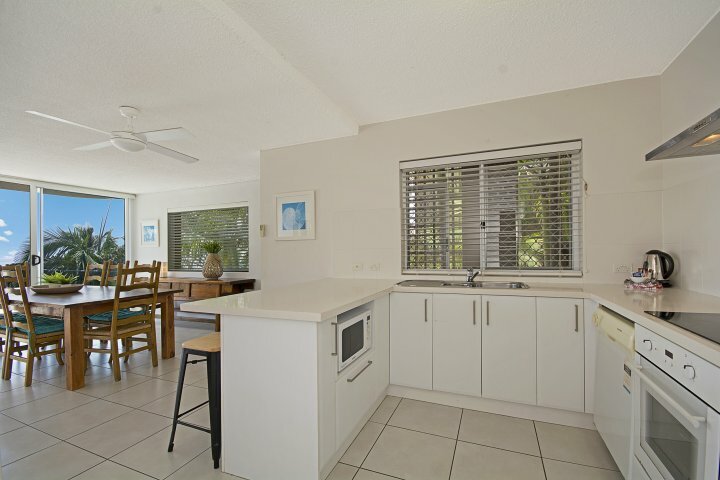 Also includes fully equipped kitchen and laundry facilities. 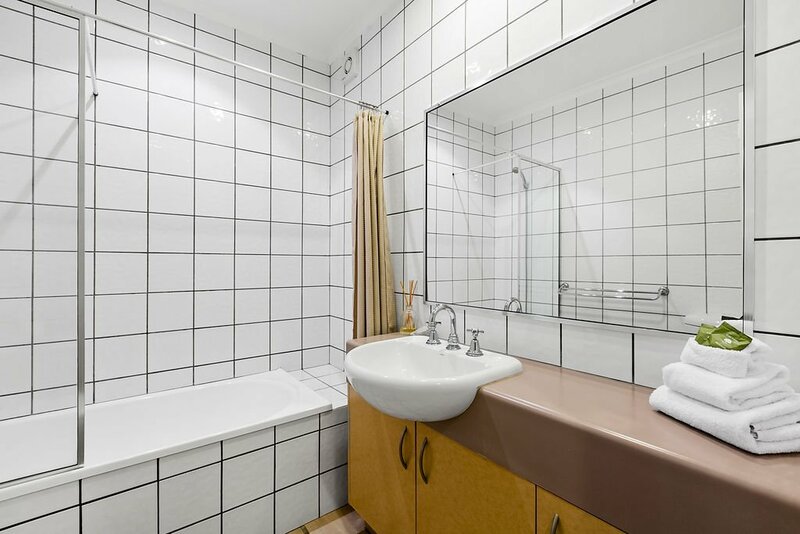 Lower level consists of the other 2 bedrooms , bathroom and laundry. 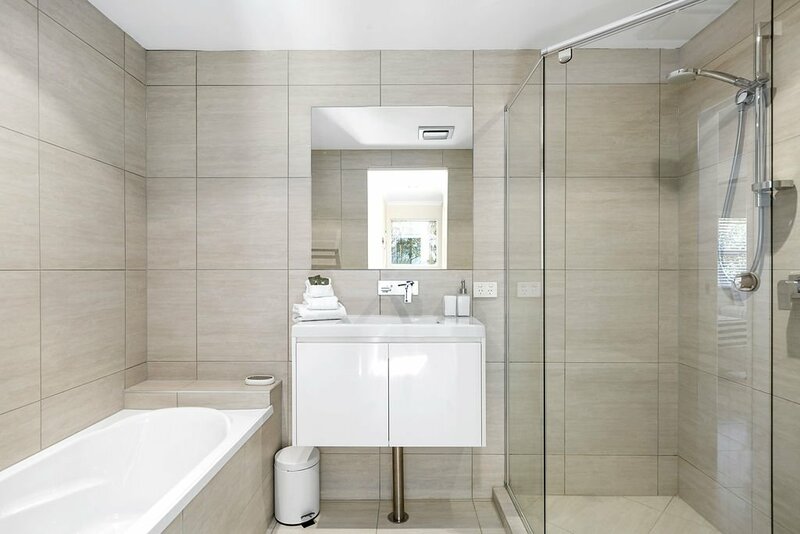 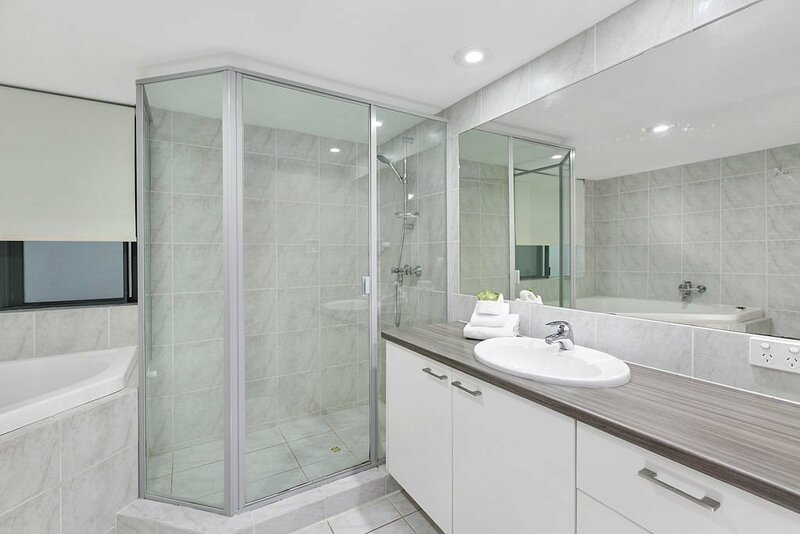 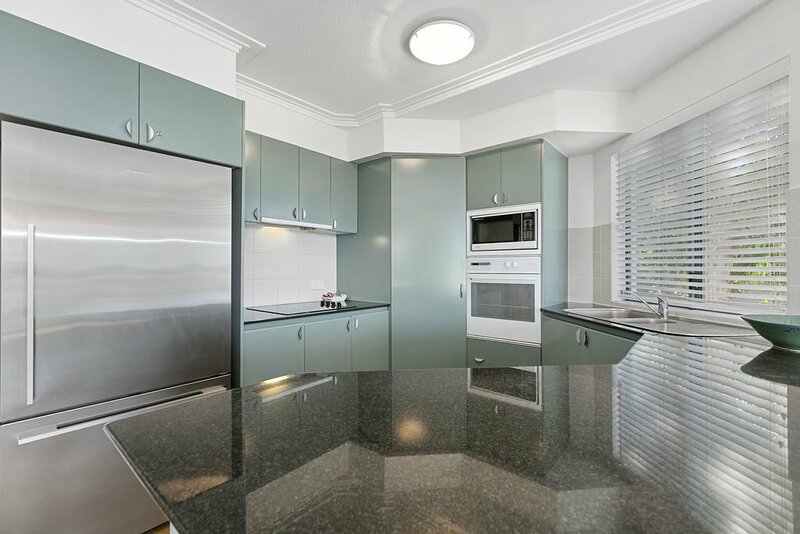 This luxuriously appointed 3/4 bedroom penthouse has just been completely renovated boasting a fabulous new kitchen and 2 bathrooms that you will just love . 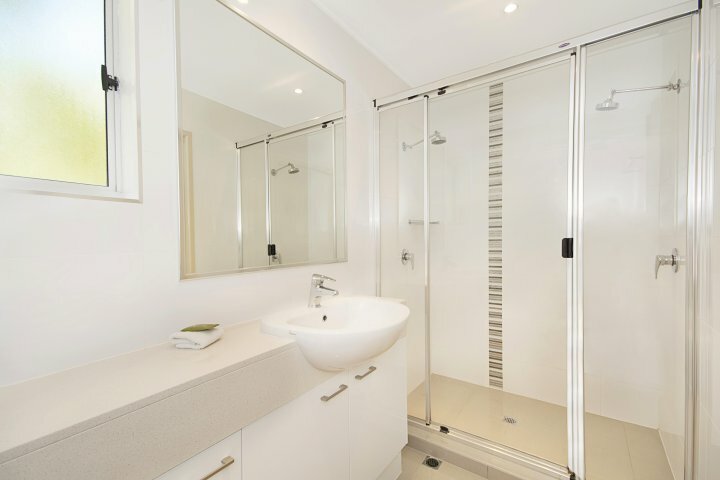 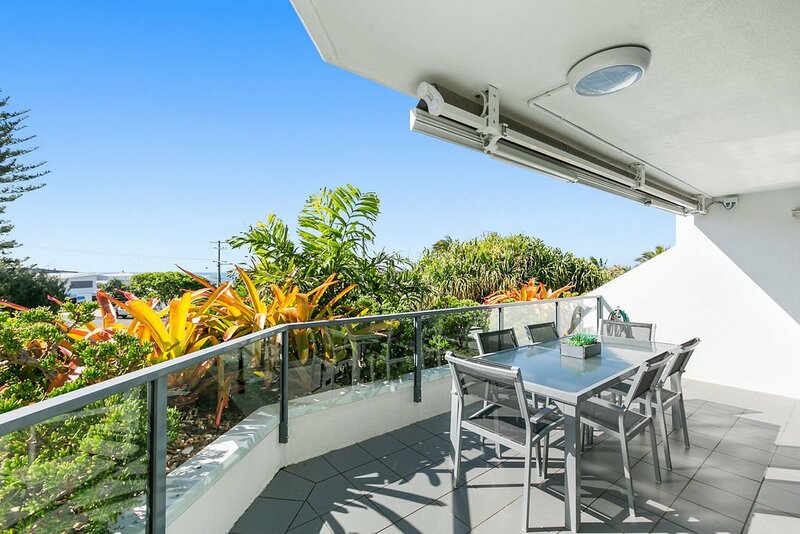 This penthouse has been architecturally designed and on 3 levels. 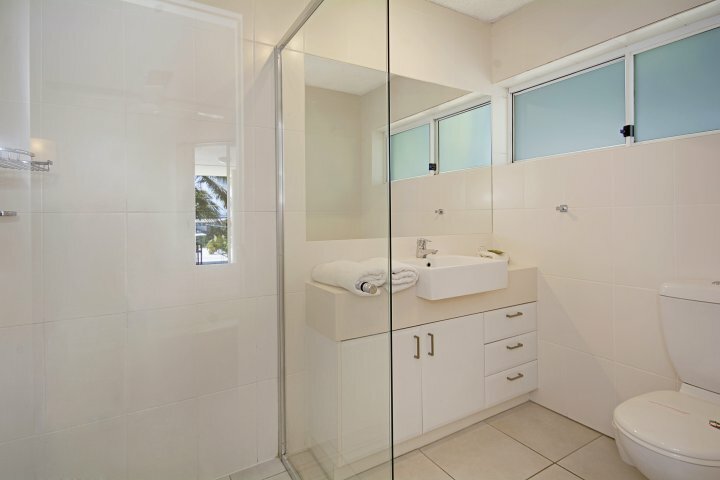 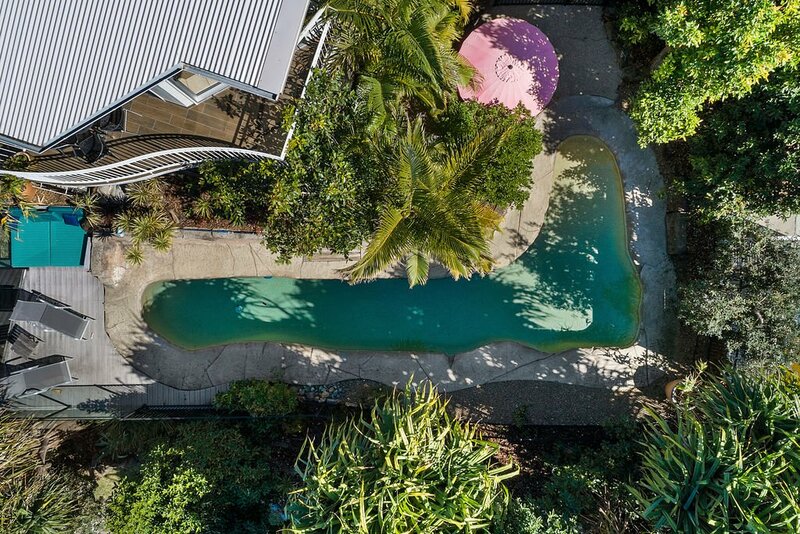 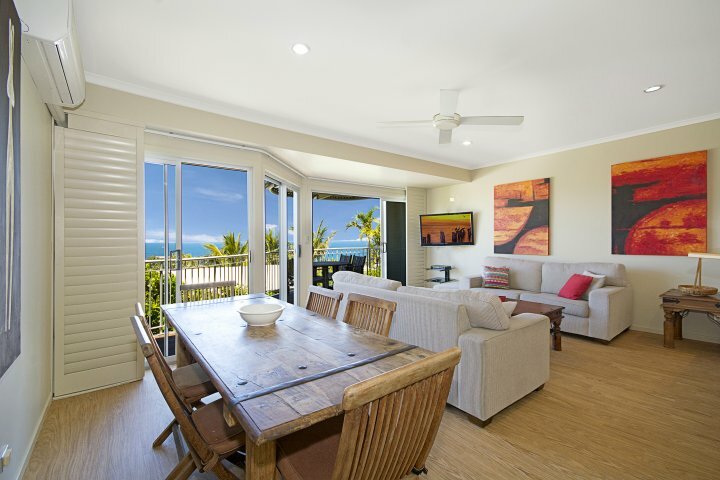 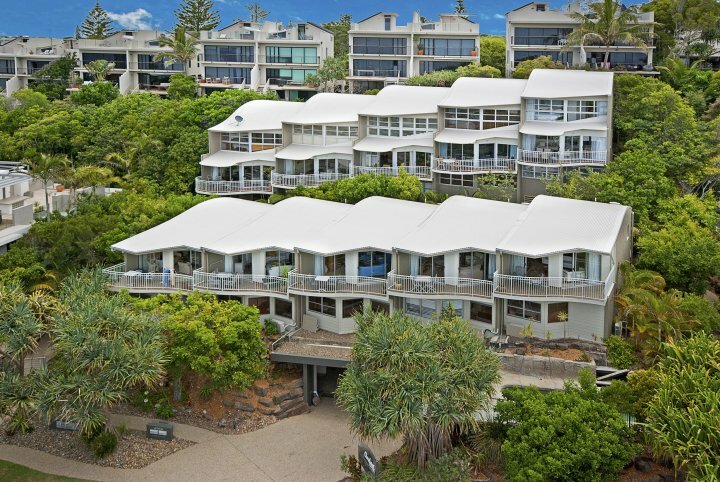 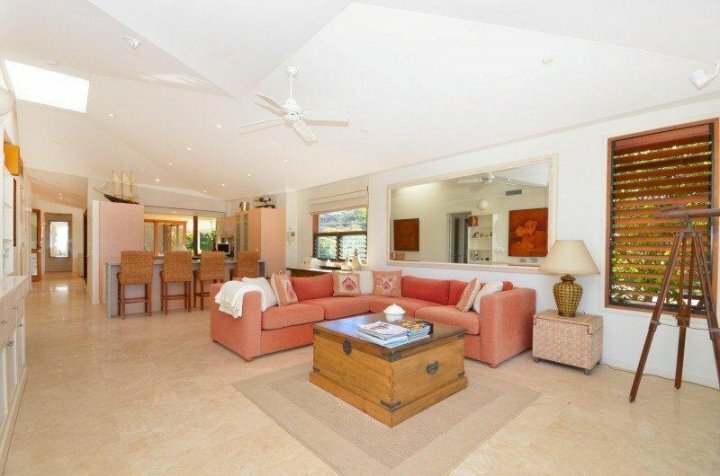 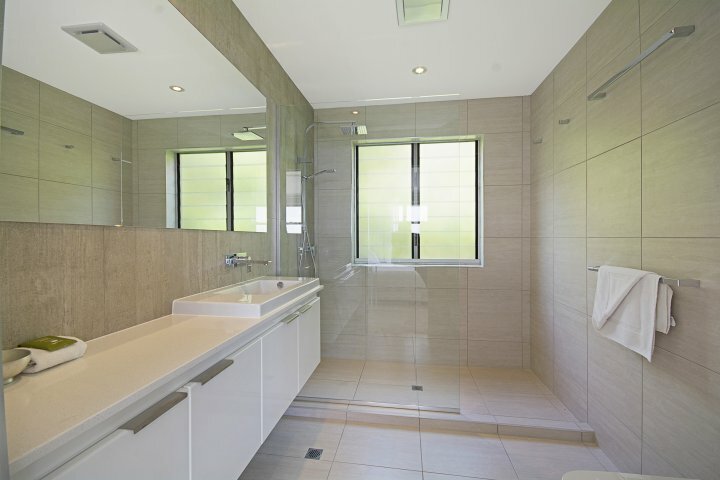 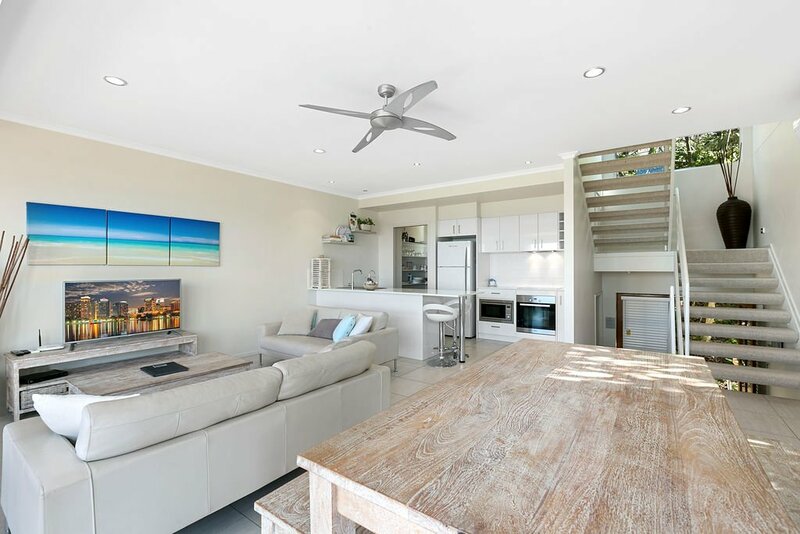 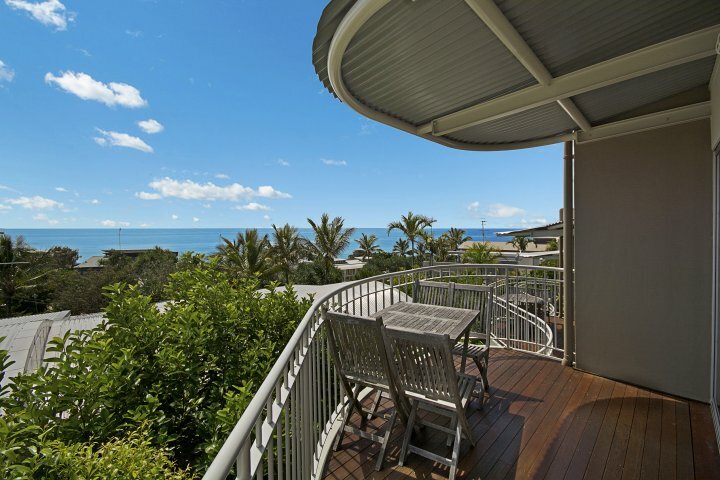 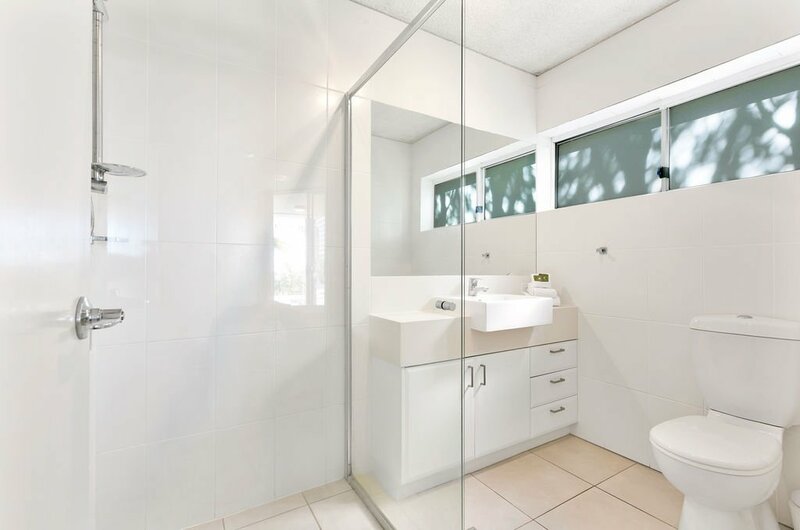 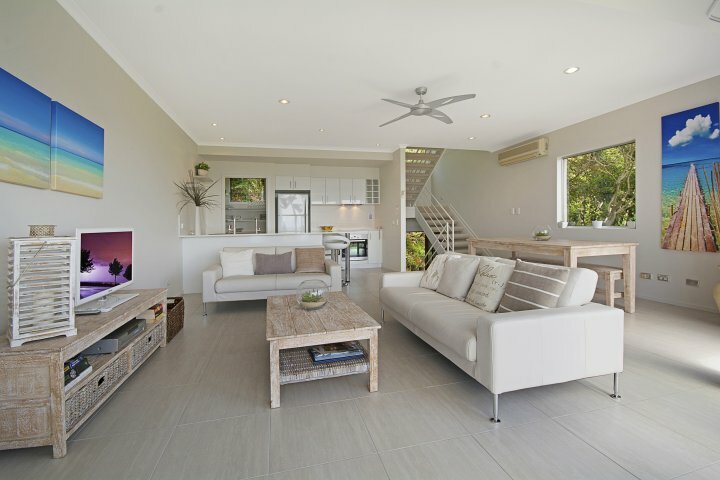 On the top level you have the master bedroom with ceiling to floor windows over looking the ocean and capturing the headland of Noosa National Park. 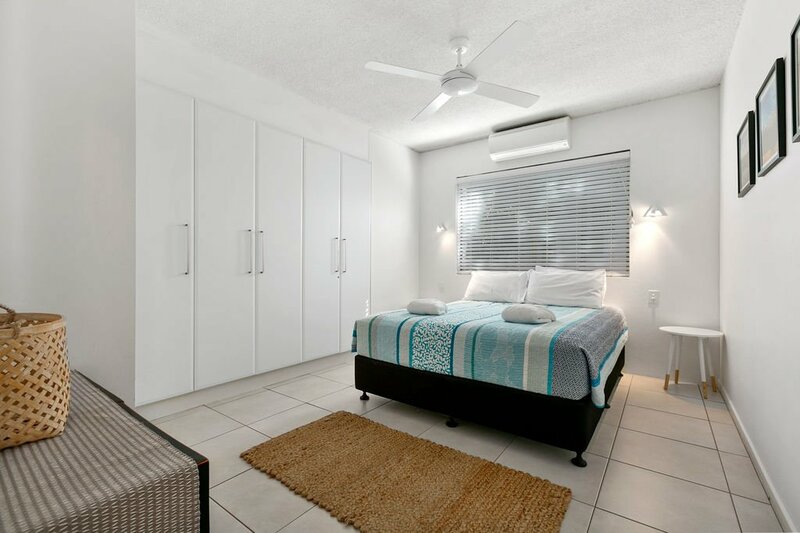 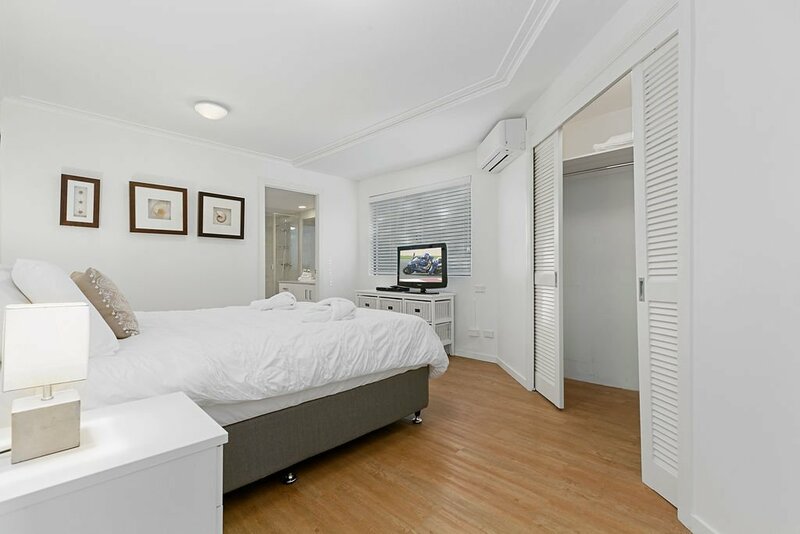 The main bedroom can be divided into an extra bedroom with a sliding wall. 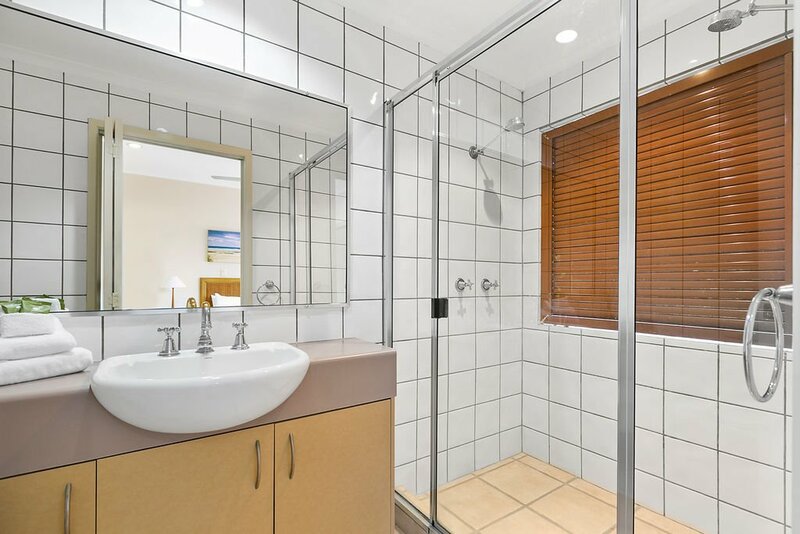 Plus a double shower in the ensuite . 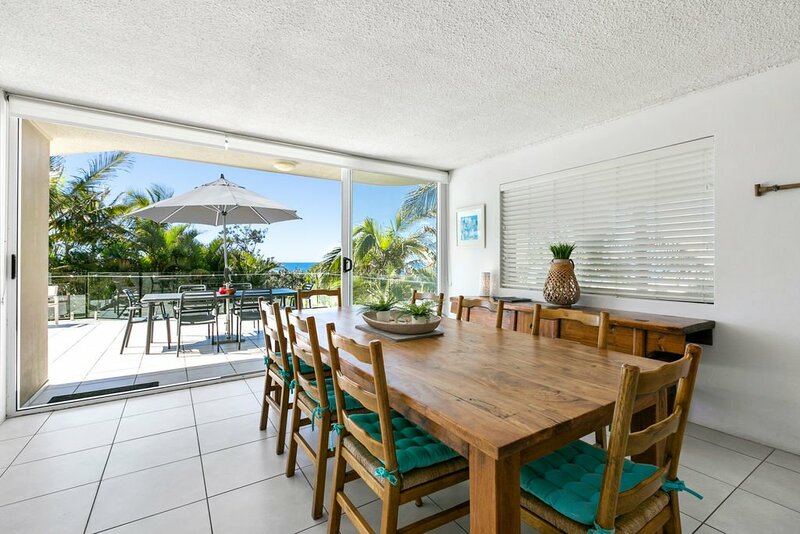 On the mid level you have a large dining/lounge/balcony area all capturing sublime ocean views from a north east aspect. 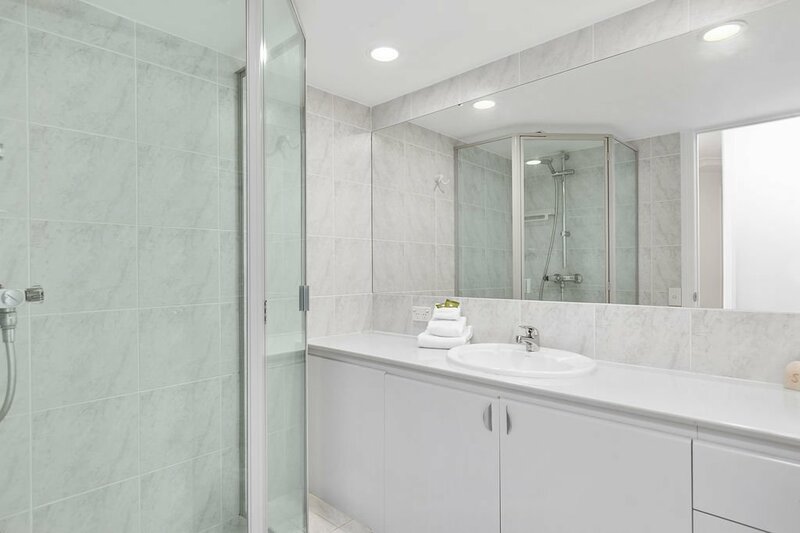 Plus the new kitchen and powder room .The lower level consists of the other 2 bedrooms , bathroom and fully equipped laundry. 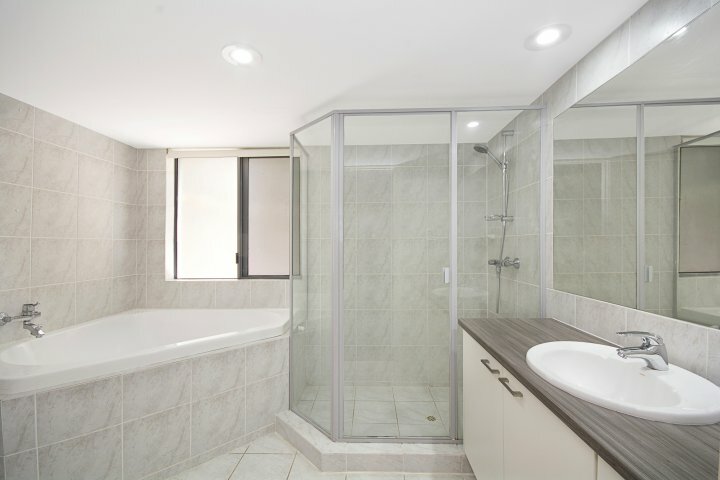 This penthouse is fully air conditioned . 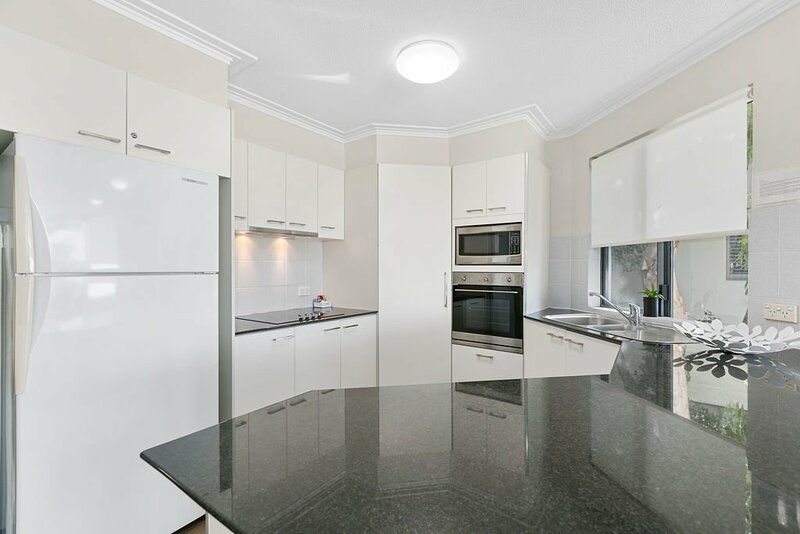 Luxuriously appointed 3 bedroom, 2 bathroom, air conditioned, architecturally designed 3 story townhouse. 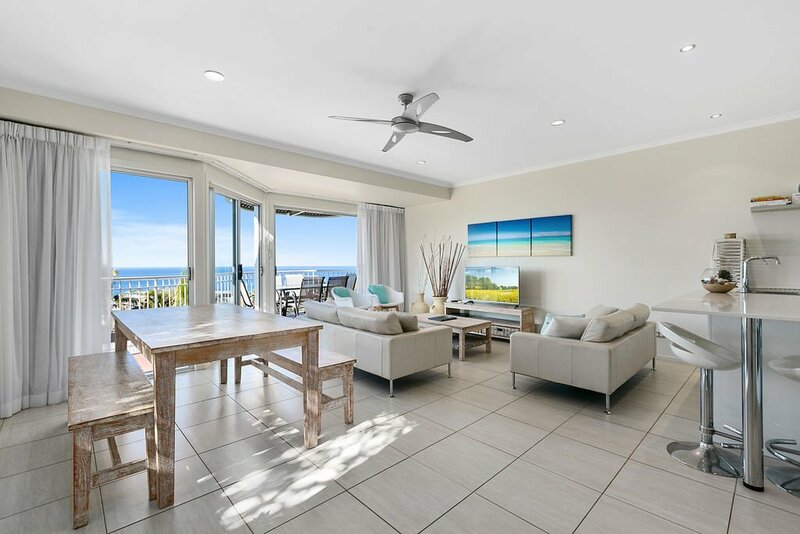 Features include master bedroom with ceiling to floor windows to take advantage of the spectacular views, large dining/lounge/balcony area all capturing sublime ocean views from a north east aspect. 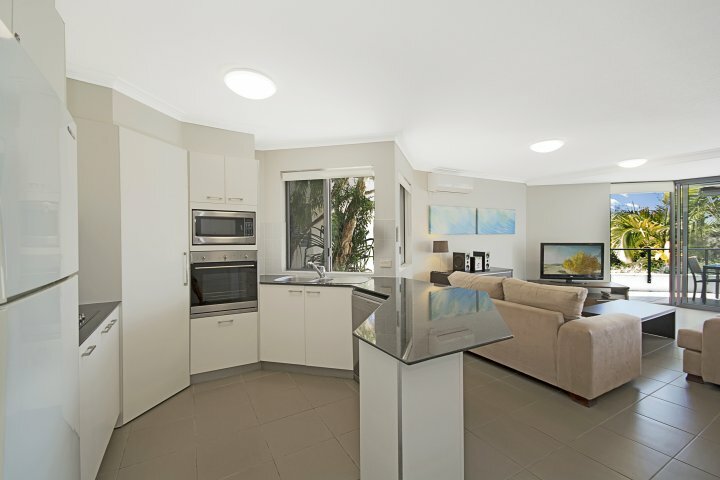 Also includes fully equipped kitchen and laundry facilities. 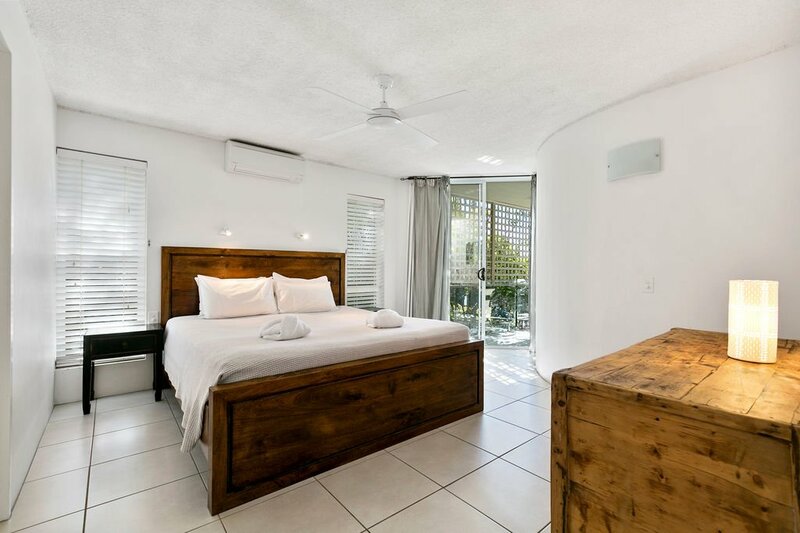 2 Night Stay only available in low season. 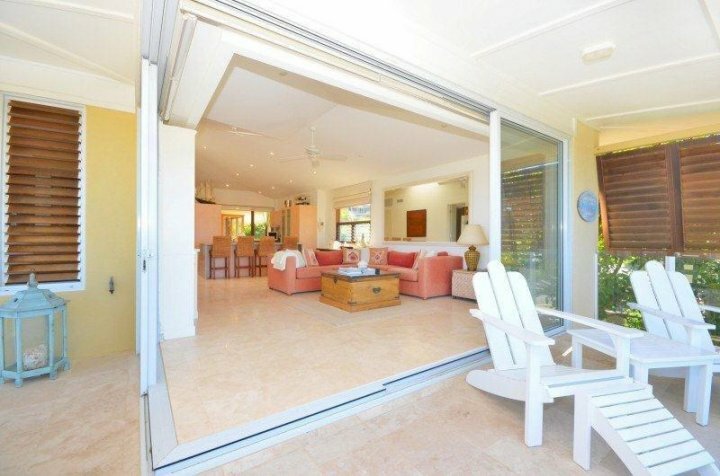 Luxuriously appointed 3 bedroom, 2 bathroom, air conditioned, architecturally designed 3 story townhouse. 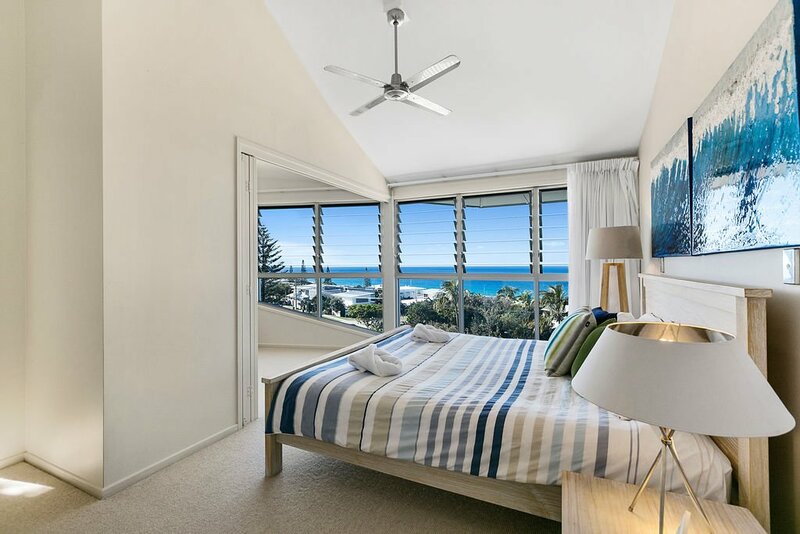 Features include master bedroom with ceiling to floor windows to take advantage of the spectacular views, ensuite to main bedroom, large dining/lounge/balcony area all capturing sublime ocean views from a north east aspect. 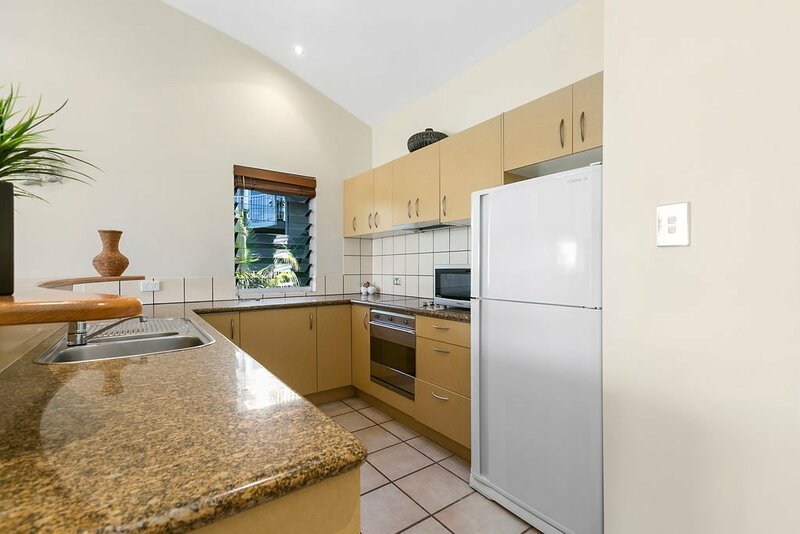 Also includes fully equipped kitchen and laundry facilities. 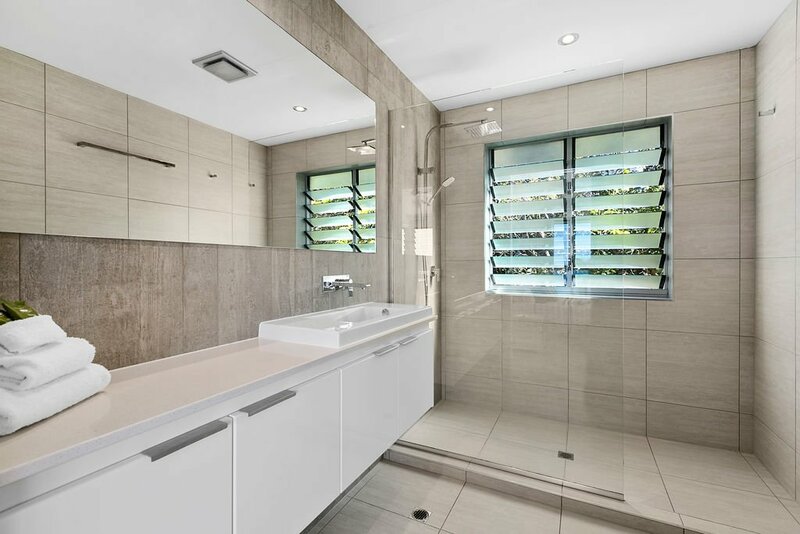 Luxuriously appointed 3 bedroom, 2 bathroom, air conditioned, architecturally designed 3 story townhouse. 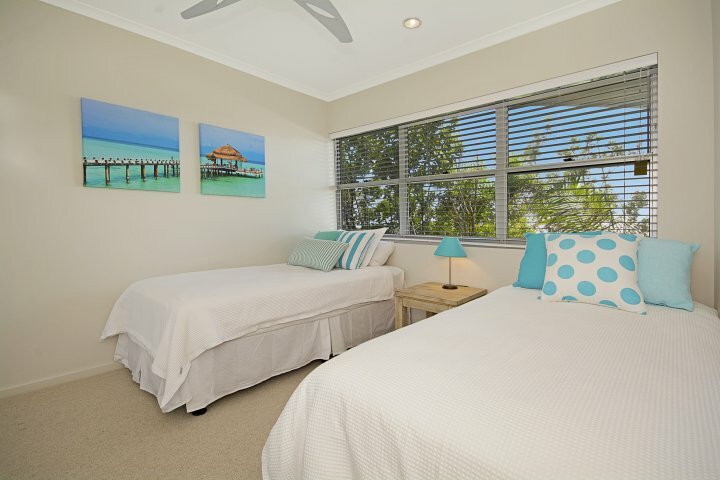 Features include master bedroom with ceiling to floor windows over looking the ocean. 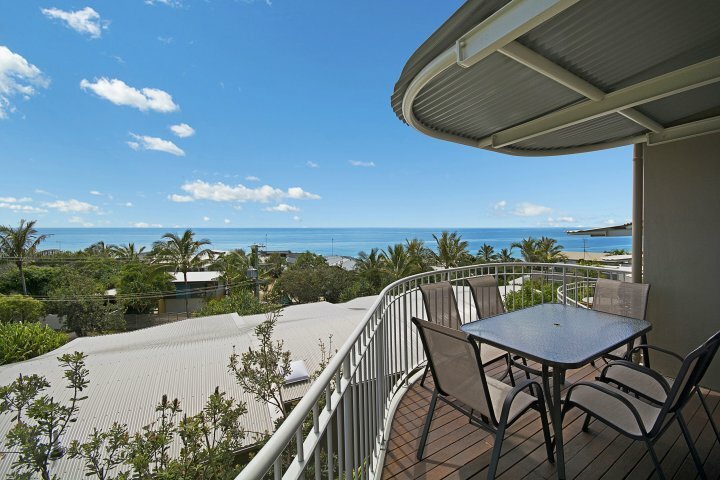 Plus a double show in the ensuite .Large dining/lounge/balcony area all capturing sublime ocean views from a north east aspect. 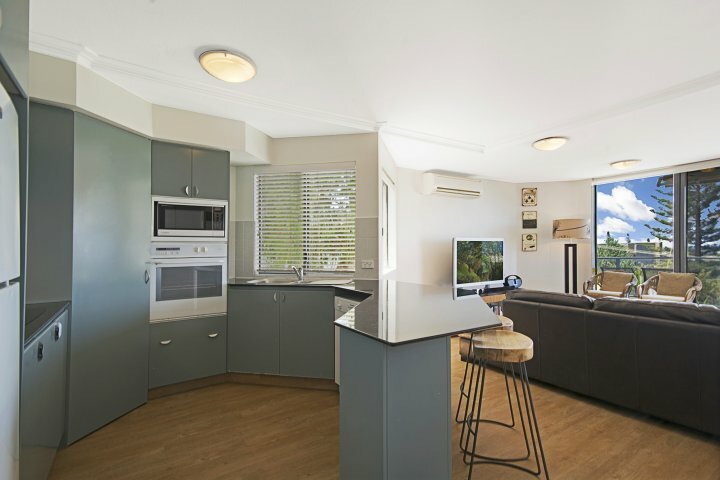 Also includes fully equipped kitchen and laundry facilities. 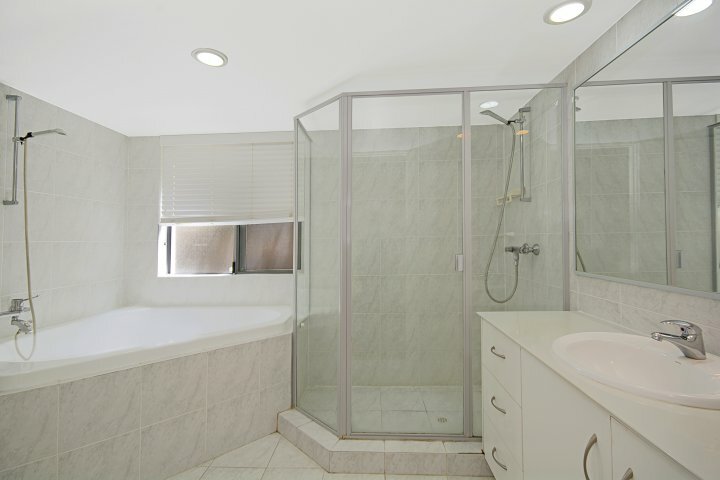 Lower level consists of the other 2 bedrooms , bathroom and laundry. 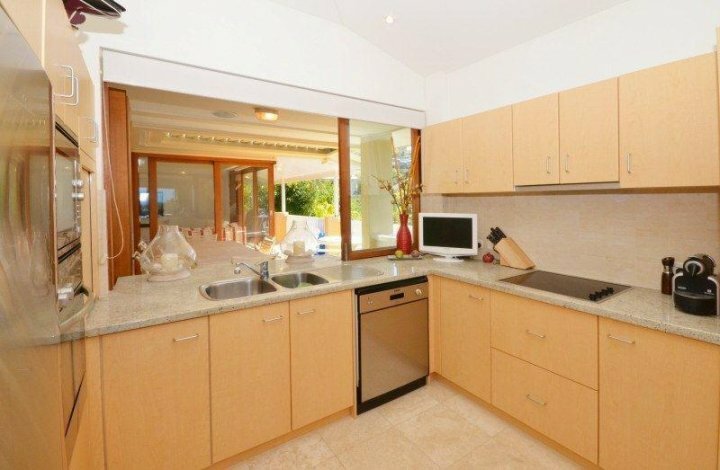 Well appointed 3 bedroom, 2 bathroom, air conditioned, architecturally designed 3 story townhouse. 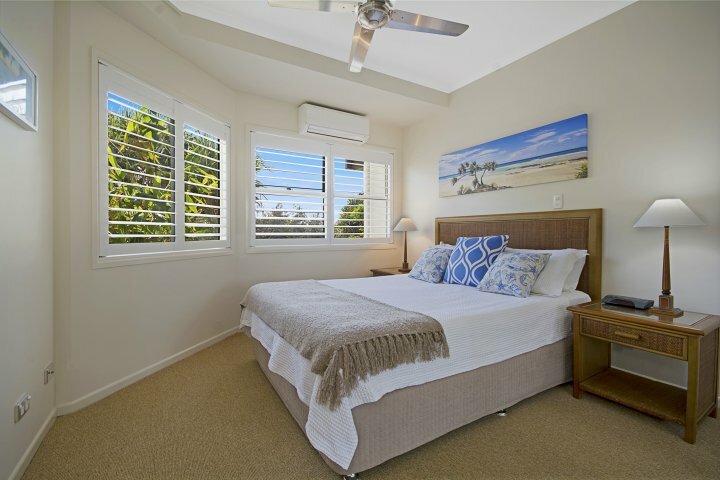 Features include master bedroom with ceiling to floor windows to take advantage of the ocean views, double shower in the ensuite of main, large dining/lounge/balcony area all capturing sublime ocean views from a north east aspect, also includes fully equipped kitchen and laundry facilities. 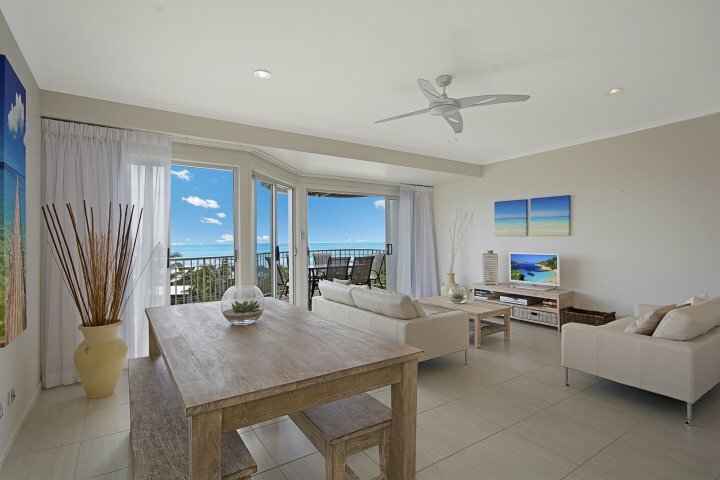 Couples and singles only (maximum 2 guests) - This package takes advantage of the top two levels of one of our 3 story townhouses, experience the extra luxury of the top floor master bedroom with ceiling to floor windows with stunning ocean views, king size bed plus an ensuite with twin showers, large fully appointed kitchen,dining/lounge and balcony areas capturing the sublime ocean views,also includes fully equipped laundry facilities. 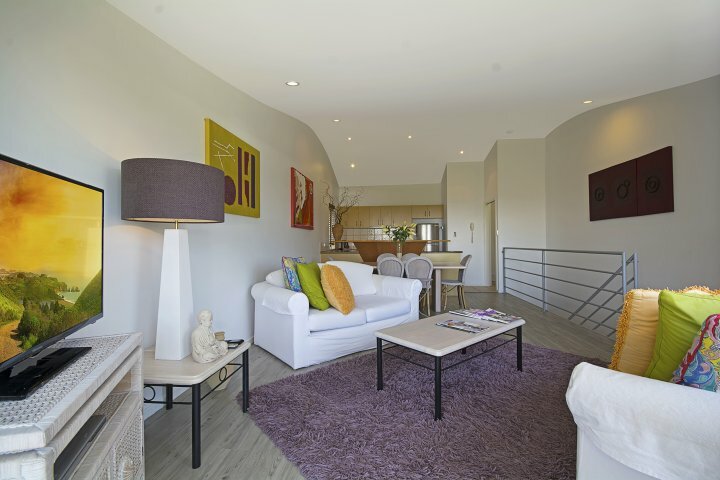 Couples and singles only (maximum 2 guests) - This package takes advantage of the top two levels of one of our 3 story townhouses. 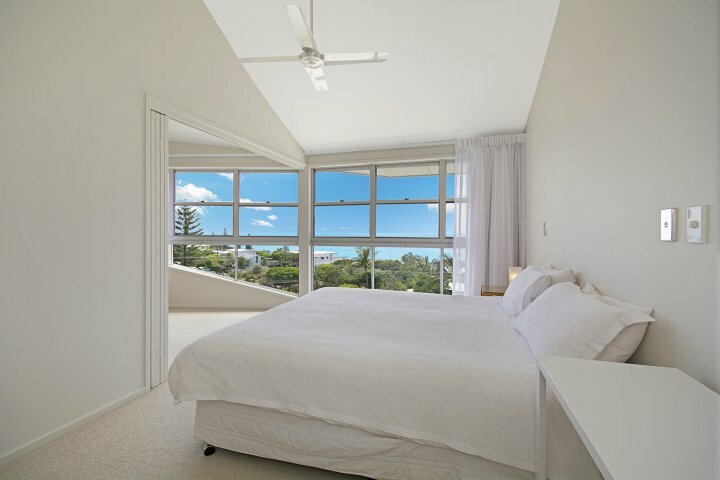 Experience the extra luxury of the top floor master bedroom with ceiling to floor windows with stunning ocean views, king size bed plus an ensuite with twin showers, large fully appointed kitchen,dining/lounge and balcony areas capturing the sublime ocean views,also includes fully equipped laundry facilities. 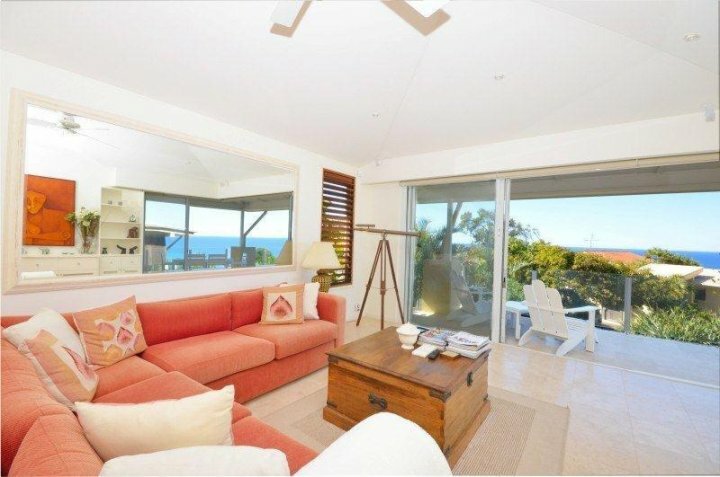 Our Penthouse has been modified to allow couples to take advantage of the spectacular views and facilities. 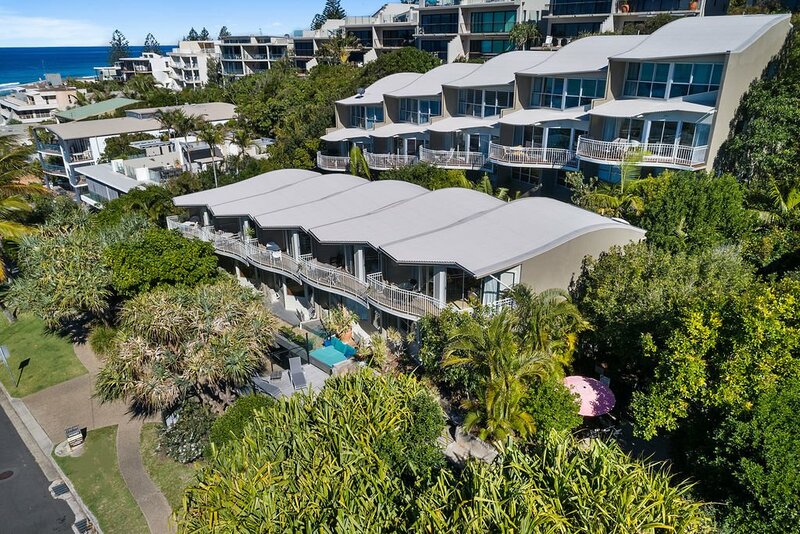 Guests will have access to the top 2 level consisting of the top floor with the main bedroom and large ensuite bathroom, walk-in robe and parents retreat and the 2nd level consisting of the fully equipped modern kitchen, dining area, lounge that leads to the private north facing balcony with spectacular views, you won't be disappointed. 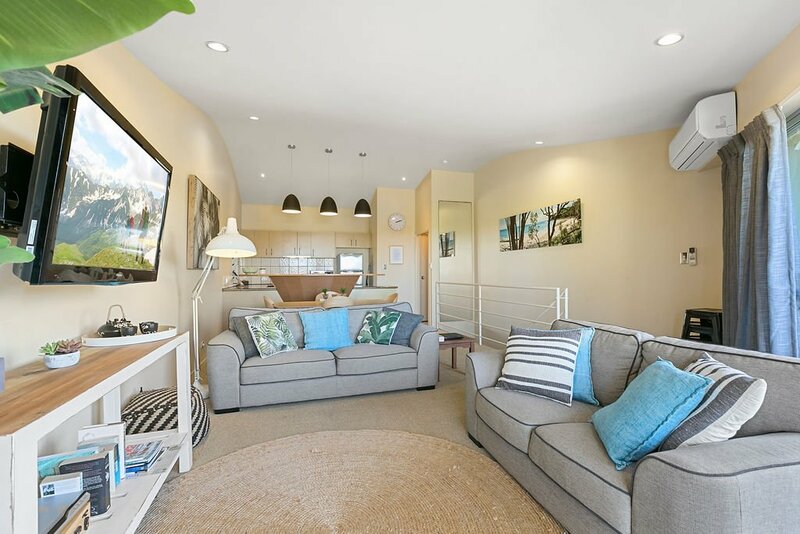 This 3 bedroom, 2 bathroom apartment in a great location, features an open plan lounge/dining area connecting onto an extra large balcony with sweeping ocean views, pool, fully equipped kitchen and laundry. 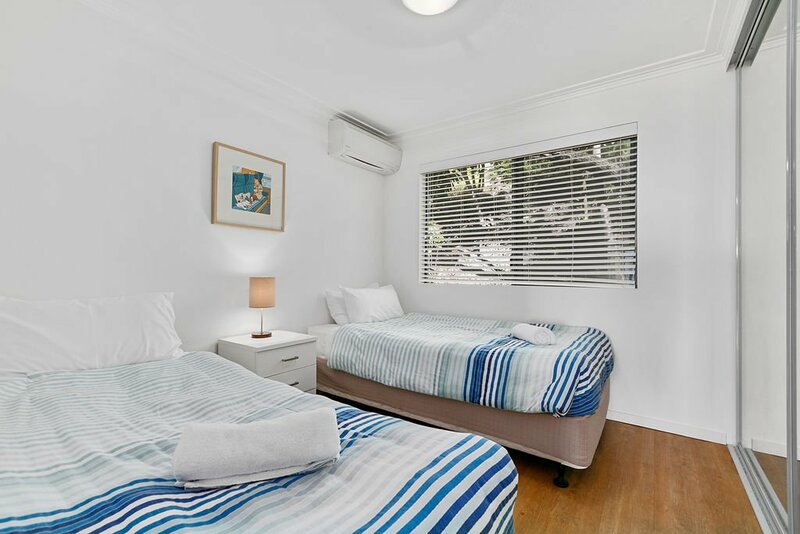 Sleeps up to six people. 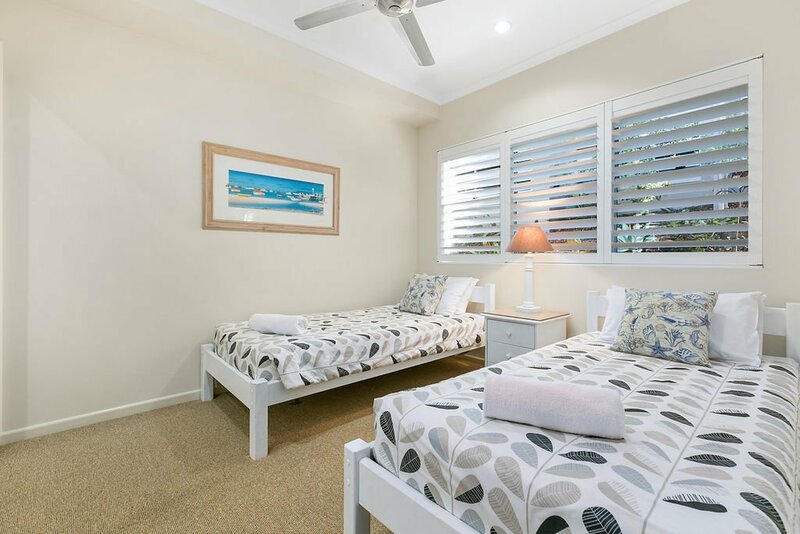 No 2 night stays available in high season. 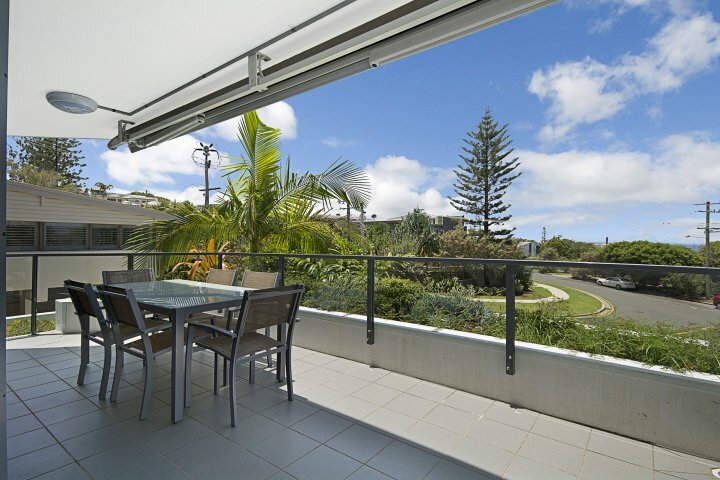 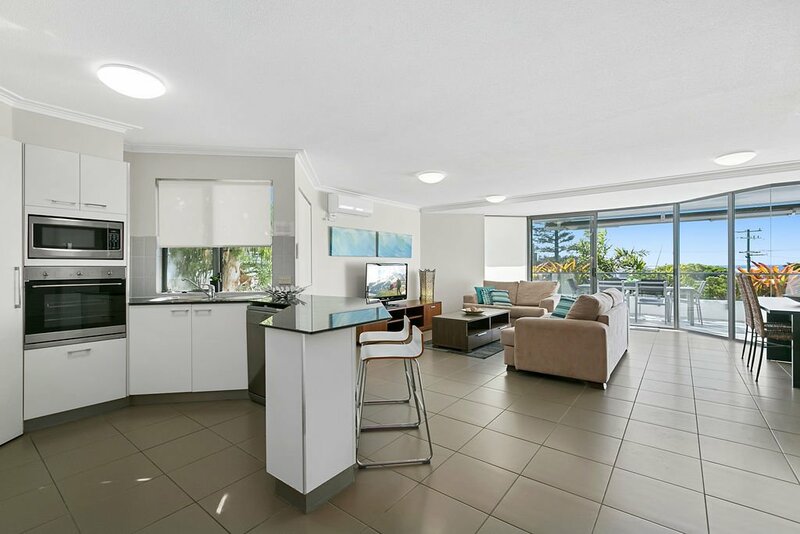 This fantastic 3 bedroom, 2 bathroom apartment in a great location directly opposite Sunshine Beach access, features air conditioning a large open plan lounge/dining area connecting onto an extra large balcony with sweeping ocean views, pool, fully equipped kitchen and laundry. 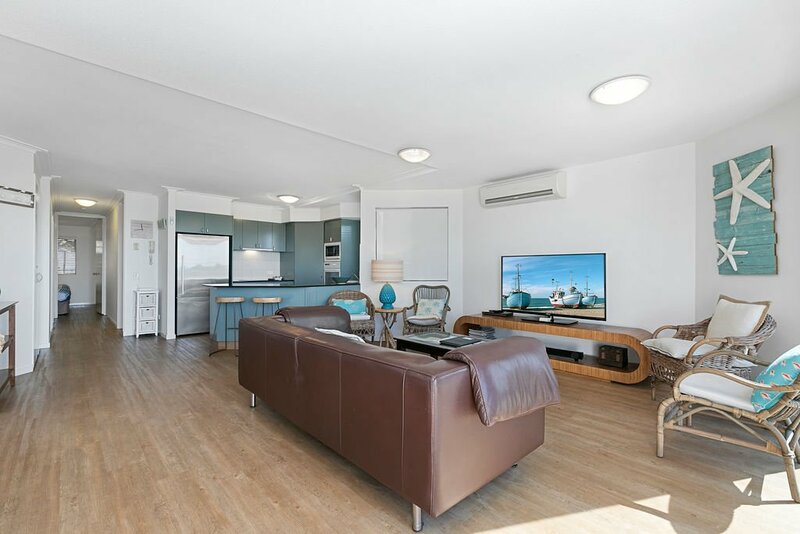 This 3 bedroom, 2 bathroom apartment in a great location, features a large open plan lounge/dining area connecting onto an extra large balcony with sweeping ocean views, pool, fully equipped kitchen and laundry air conditioning . 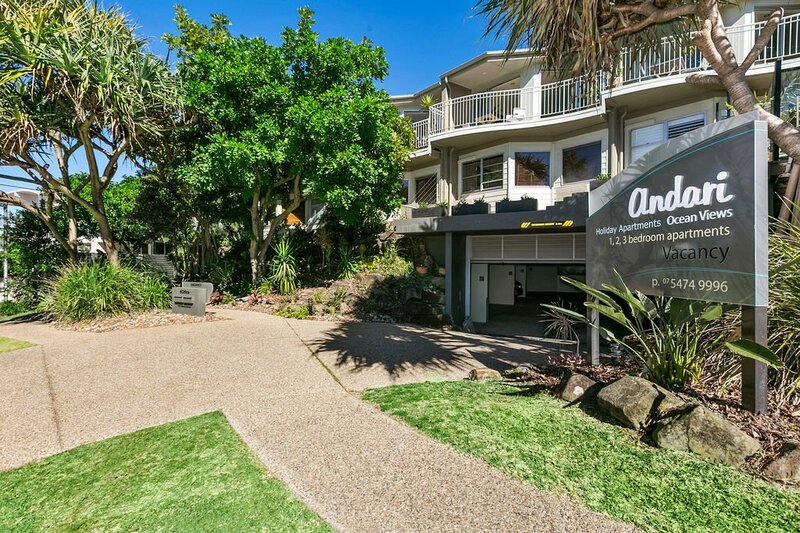 Just next door to Andari this great 2 bedroom ,2 bathroom ( ensuite with spa bath) apartment , open plan kitchen , dining and living area,flowing onto large north east facing terrace that captures the sun and sea breezes throught the entire day. 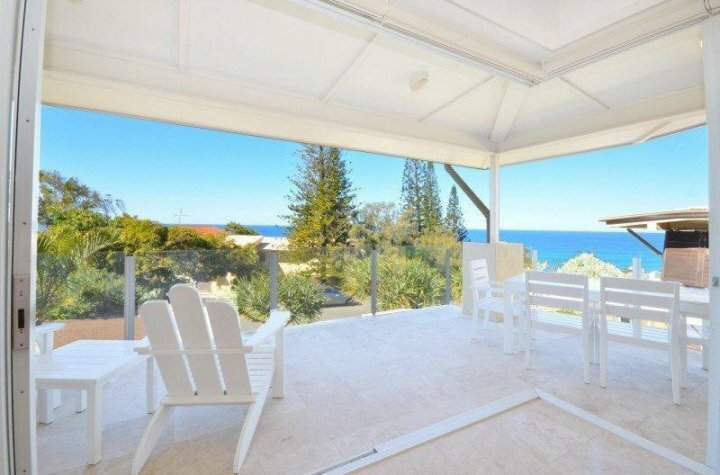 Ocean glimpses with Sunshine Beach just across the road. 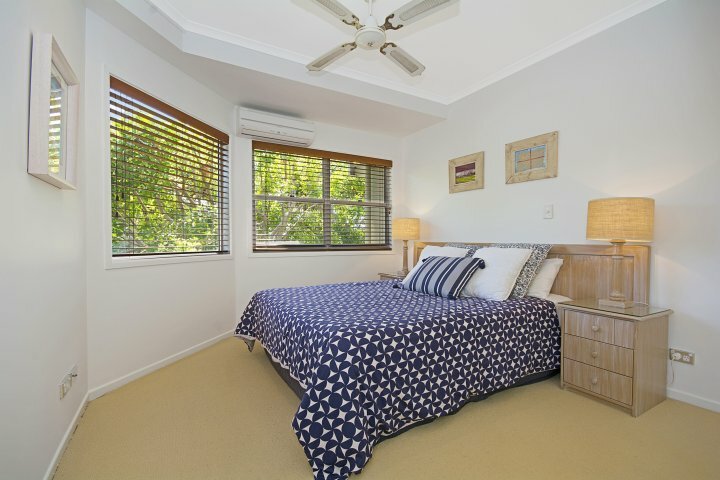 Within walking distance to Surf Club, and Village with all of it's fantastic restaurants and cafes. 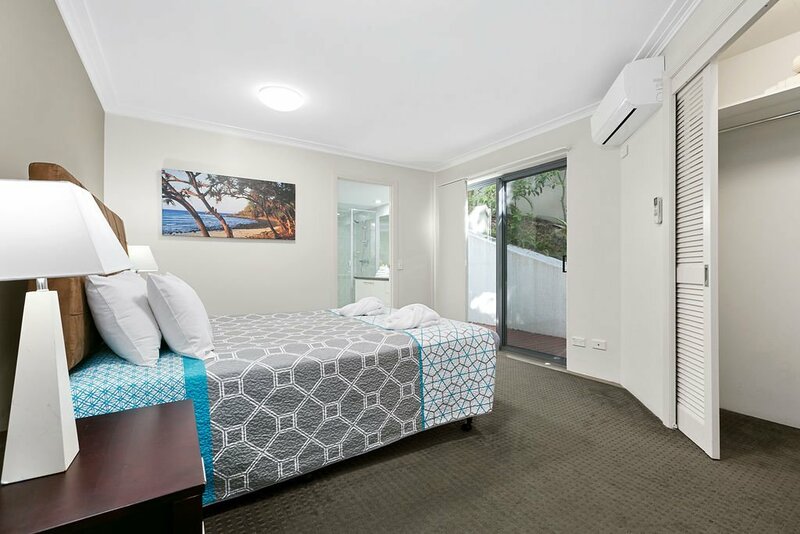 Air Conditioned . 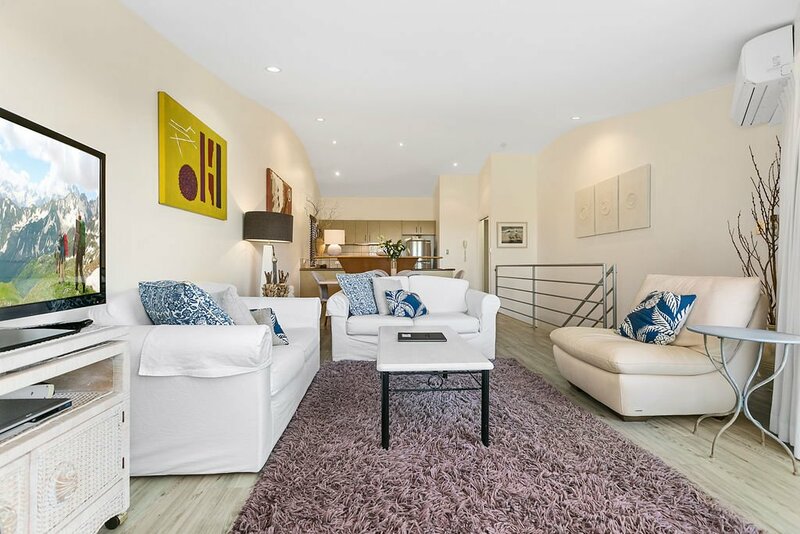 Just next door to Andari this great 2 bedroom ,2 bathroom ( ensuite with spa bath) Apartment offers open plan living ,flowing onto large north east facing terrace that captures the sun and sea breezes throughout the entire day. 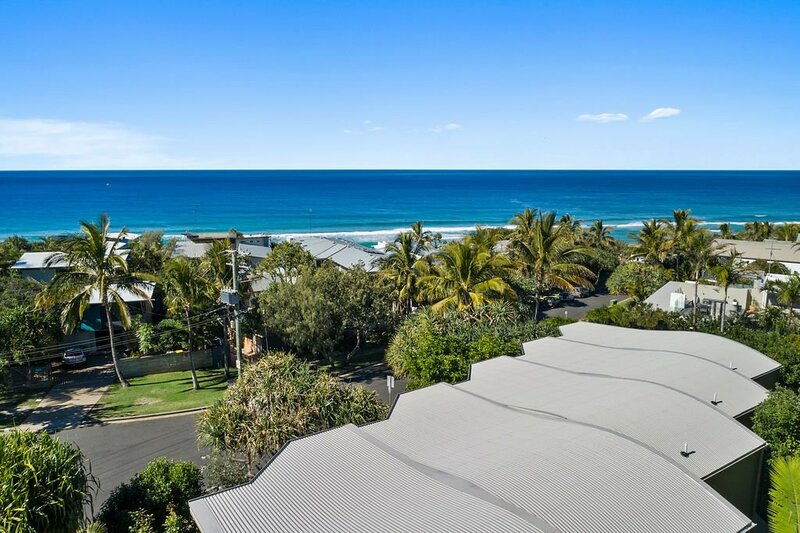 Ocean glimpses with Sunshine Beach just across the road. 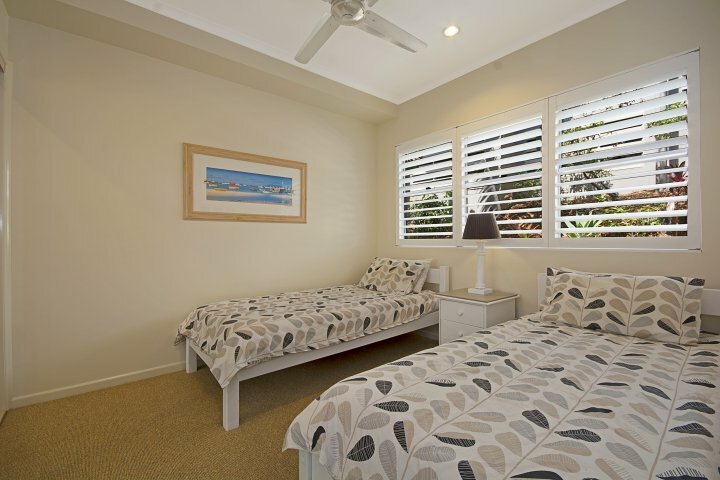 Within walking distance to Surf Club, and Village with all of it's fantastic restaurants and cafes. 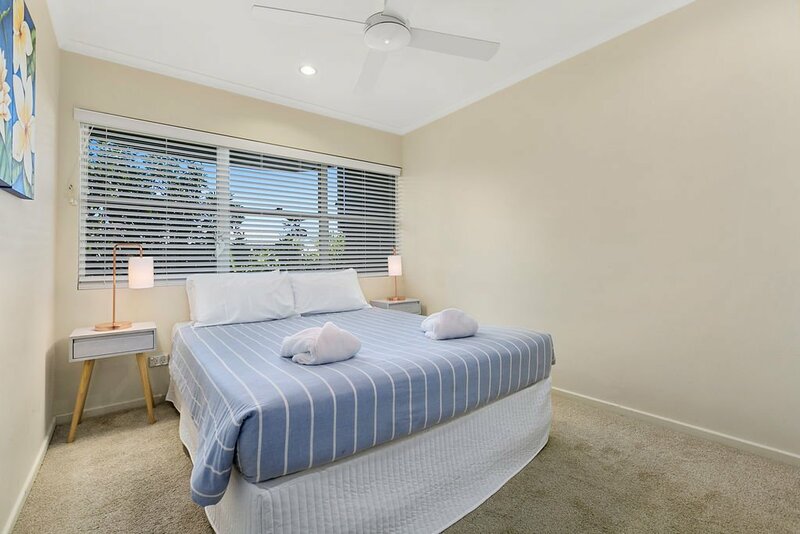 Air Conditioned . 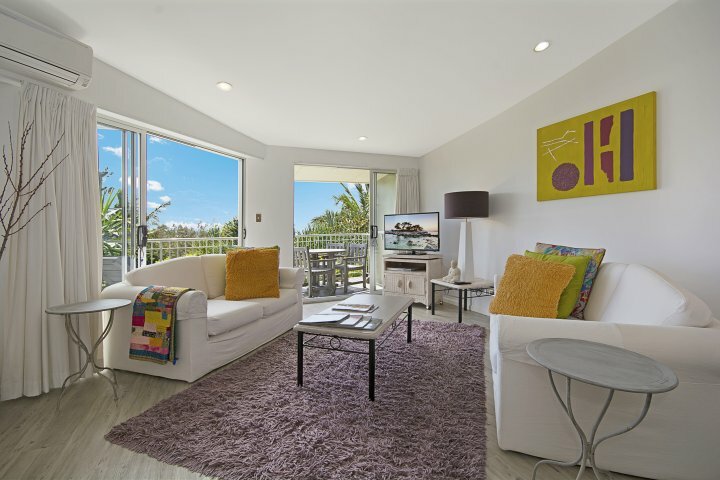 Just next door to Andari Holiday Apartments this great 2 bedroom ,2 bathroom ( ensuite with spa bath), air conditioned apartment offers open plan living ,flowing onto large north east facing terrace that captures the sun and sea breezes throughout the entire day. 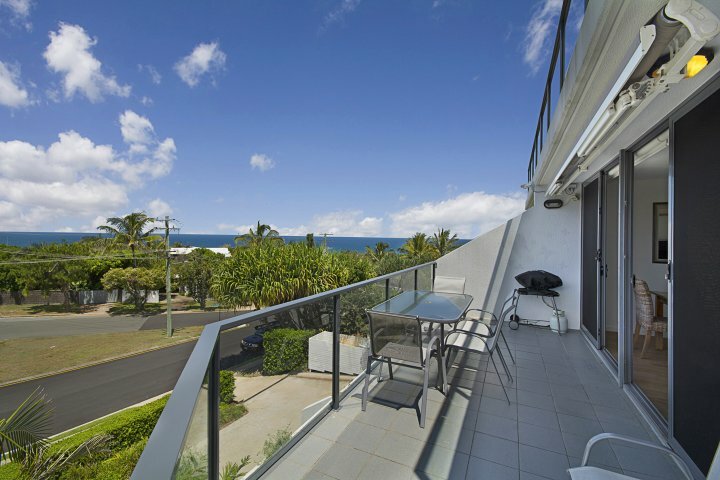 Ocean glimpses with Sunshine Beach just across the road. 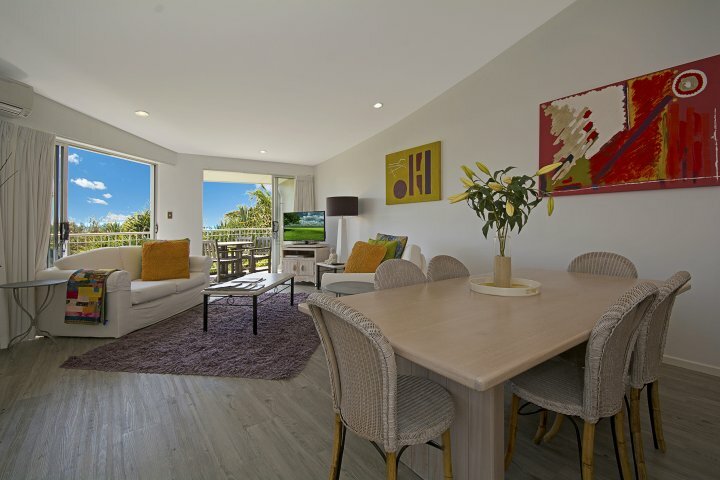 Within walking distance to Surf Club, and Village with all of it's fantastic award winning restaurants and cafes. 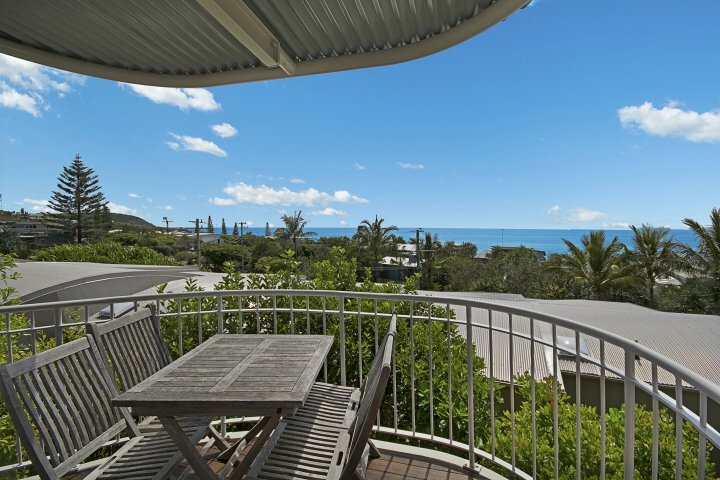 Newly renovated excellent 2 bedroom 2 bathroom air conditioned apartment .Great ocean views, open plan living flowing onto 2 balconies . 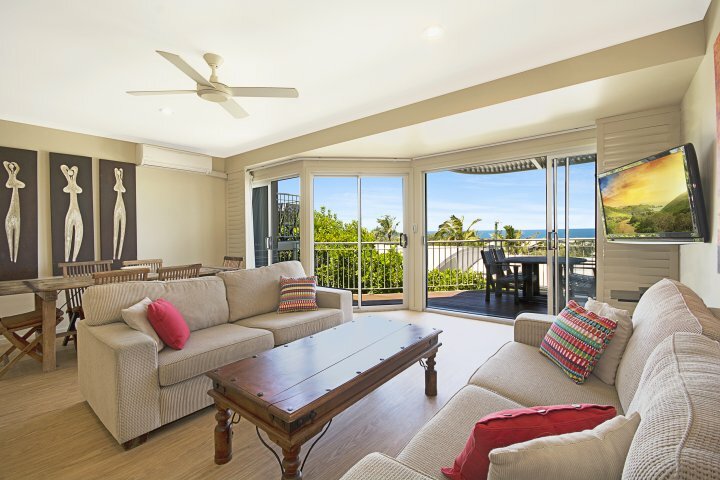 All furnishings carefully selected adding luxury comfort and style . 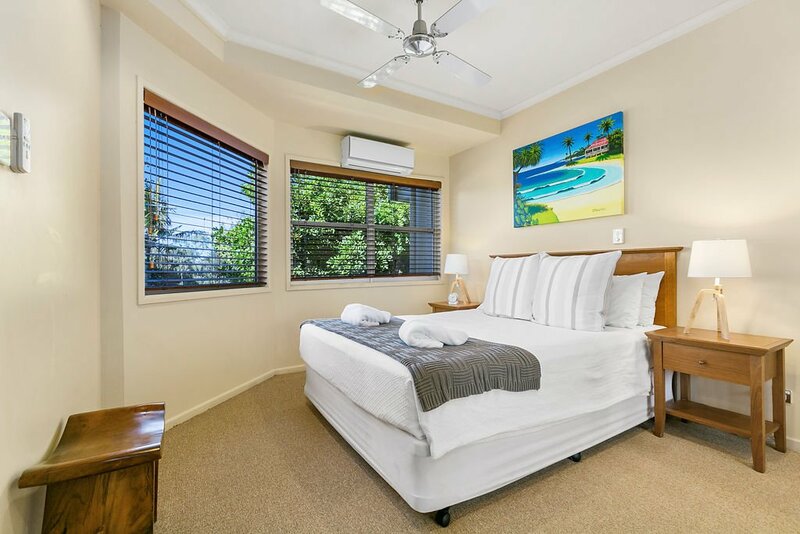 Just a short stroll to beautiful Sunshine Beach and the village with it's award winning resturants and cafe's and Surf Club. 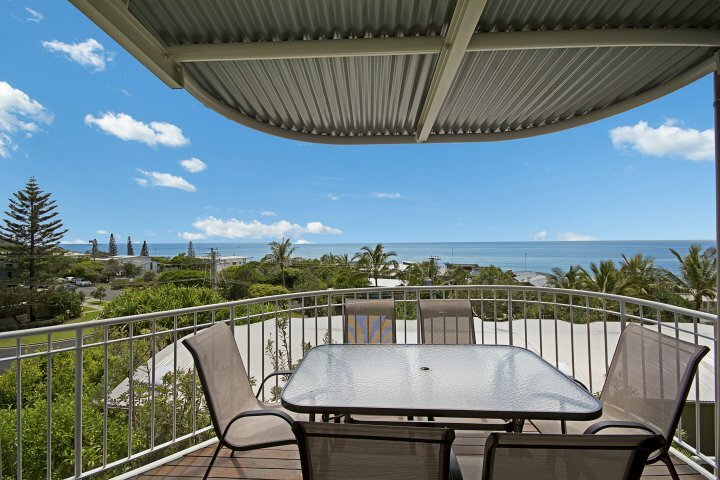 This apartment also boasts a roof top with superb ocean views. 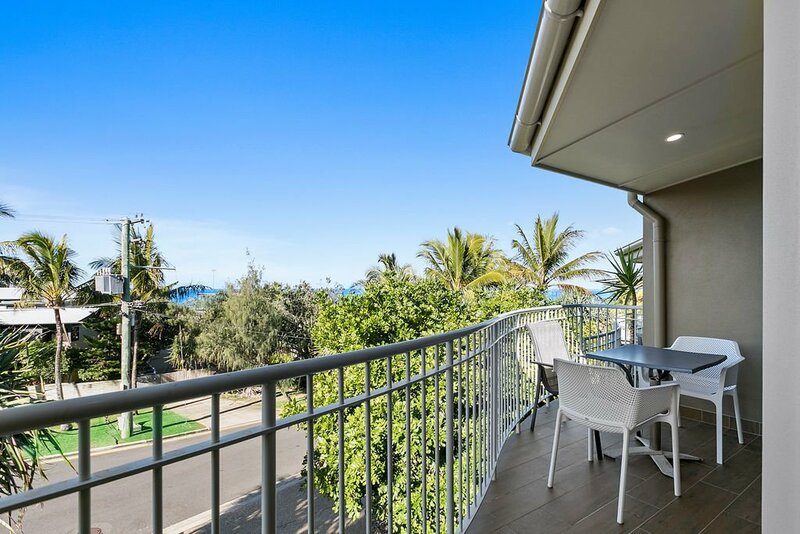 Newly renovated excellent 2 bedroom 2 bathroom air conditioned apartment .Great ocean views, open plan living flowing onto 2 balconies . 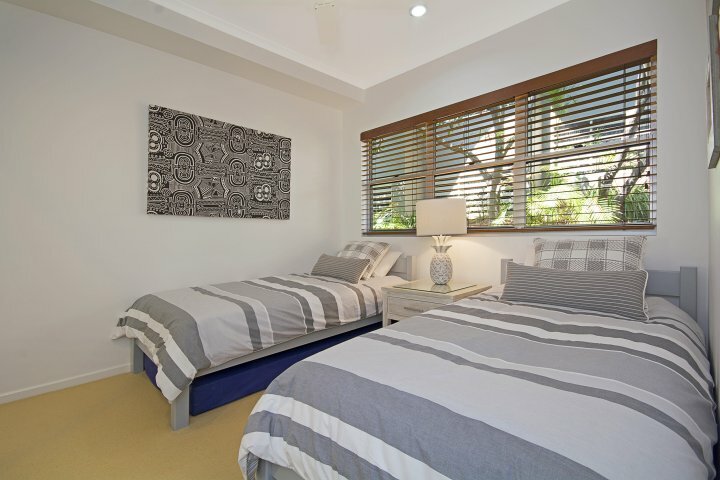 All furnishings carefully selected adding luxury comfort and style . 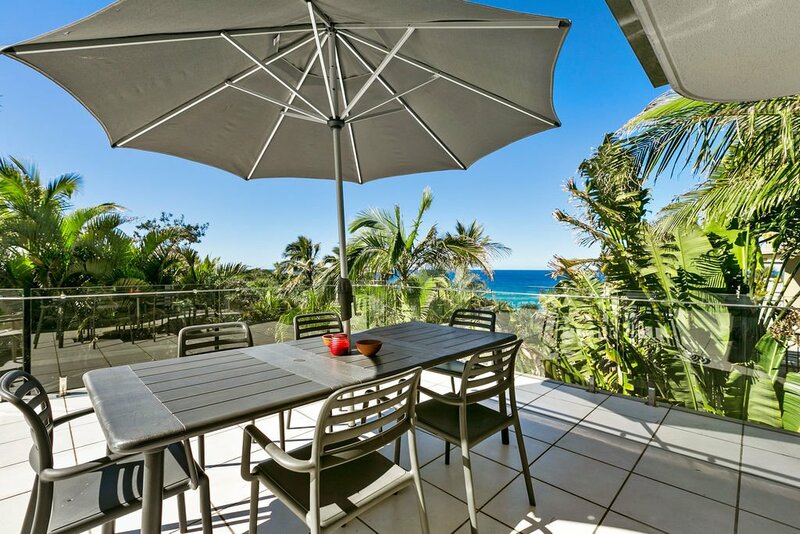 Just a short stroll to beautiful Sunshine Beach ,the village with it's award winning resturants and cafe's and Surf Club. 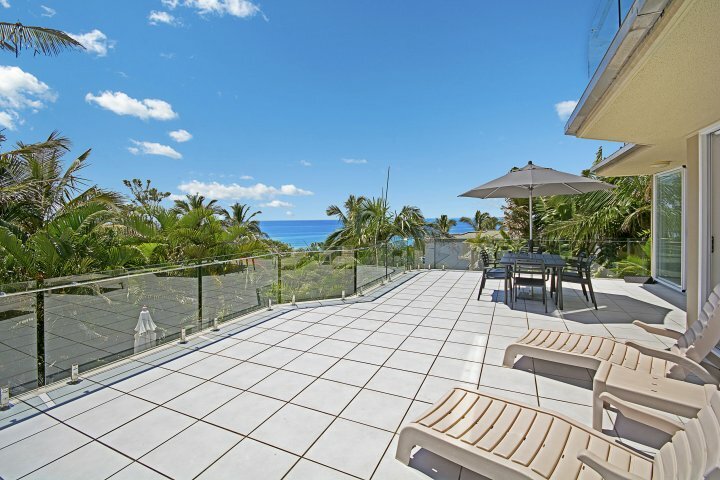 This apartment also boasts a roof top with superb ocean views. 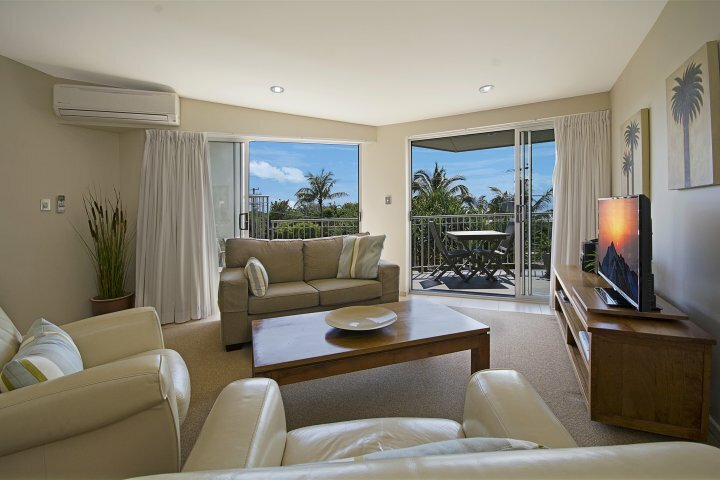 Well appointed 2 bedroom 2 bathroom air conditioned apartment .Great ocean views, open plan living flowing onto 2 balconies . 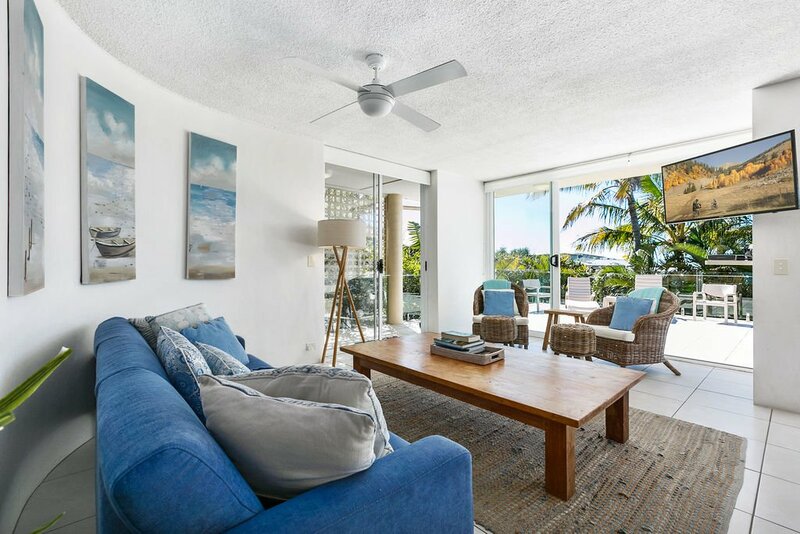 All furnishings carefully selected adding " beach life" comfort and style . 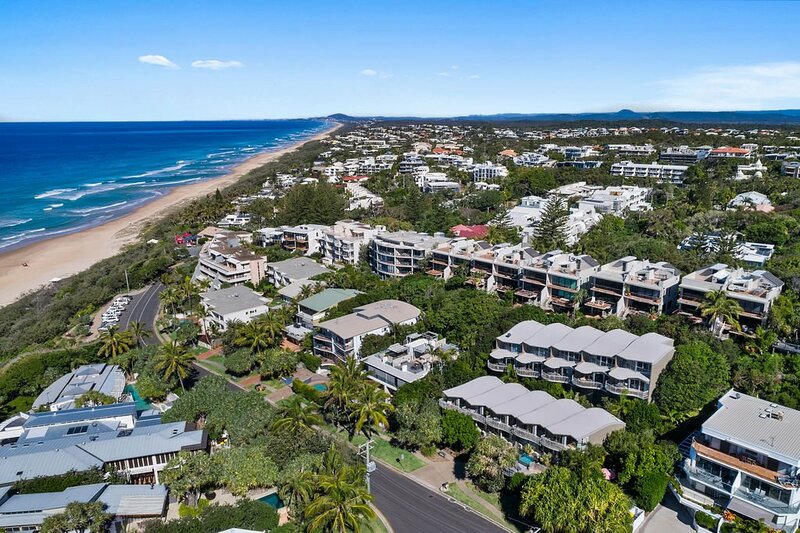 Just a short stroll to beautiful Sunshine Beach ,the village with it's award winning restaurants and cafe's and Surf Club. 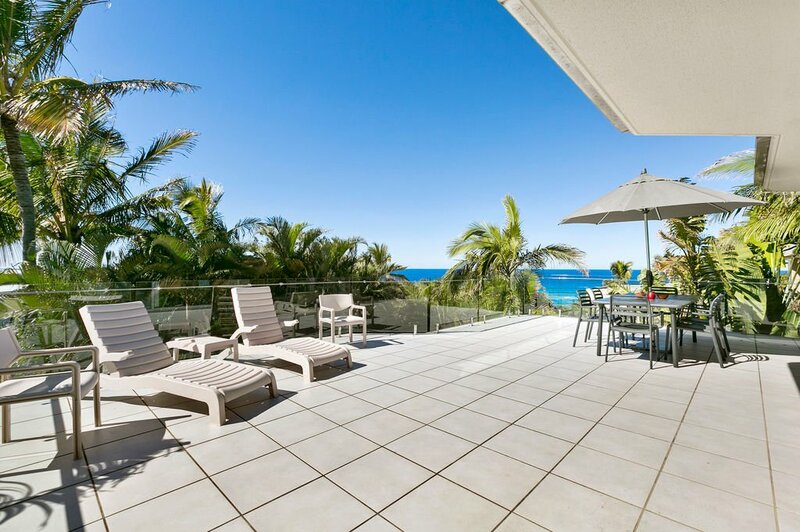 This apartment also boasts a roof top with superb ocean views. 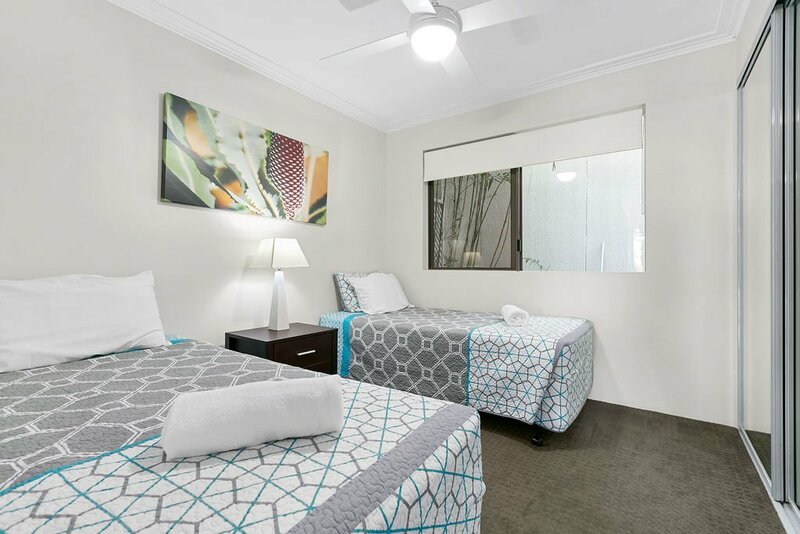 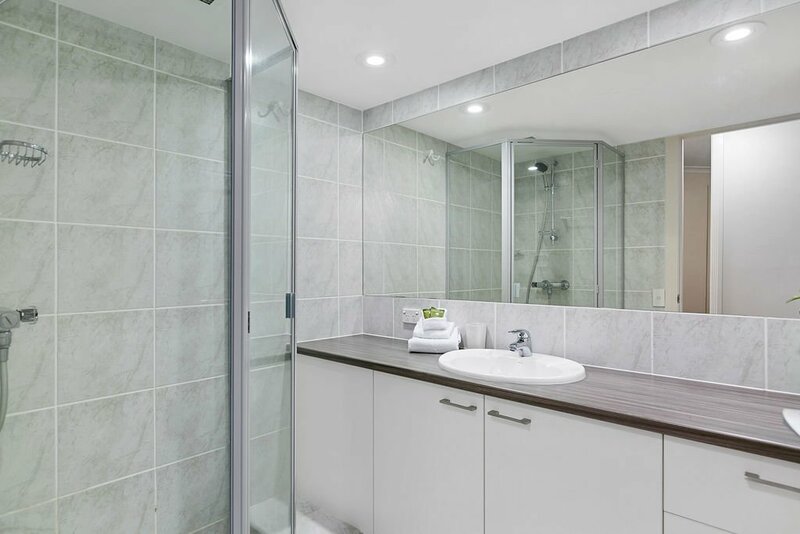 Andari offers FREE WiFi of 400mbs per day, additional data available at additional charge, off site units, 2/11 Belmore and 4/23 Belmore have FREE WiFi, units 2/23 Belmore and Cote D'Azur have not WiFi facilities. 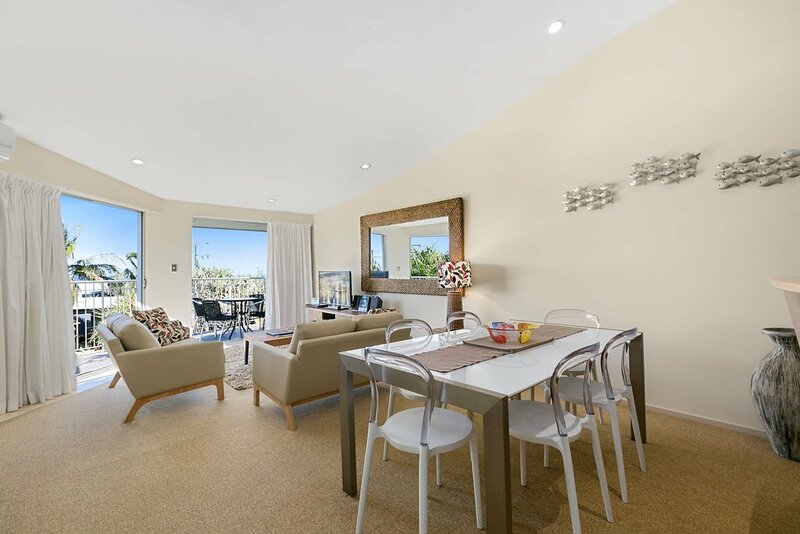 Check-in 2pm to 5pm, late check-ins to call before 5pm to arrange key pickup. 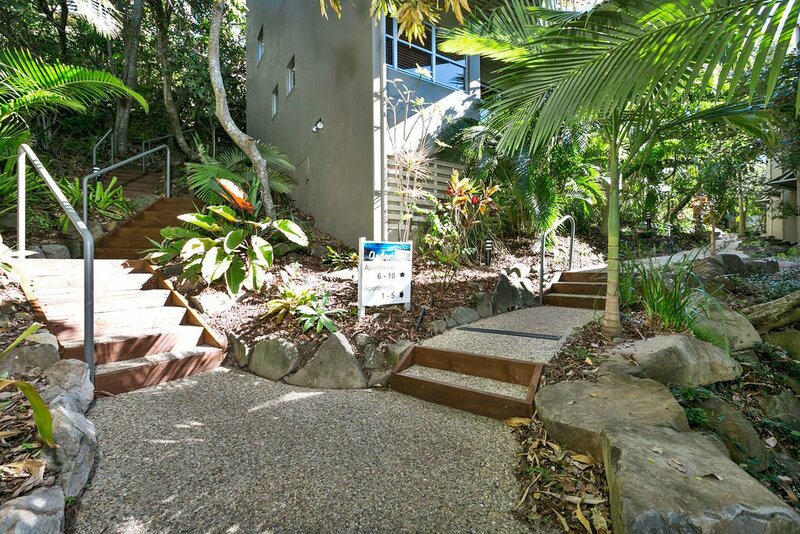 Office hours 8.30 to 5 Monday to Friday, 9 to 12 on Saturday, available by phone after hours. 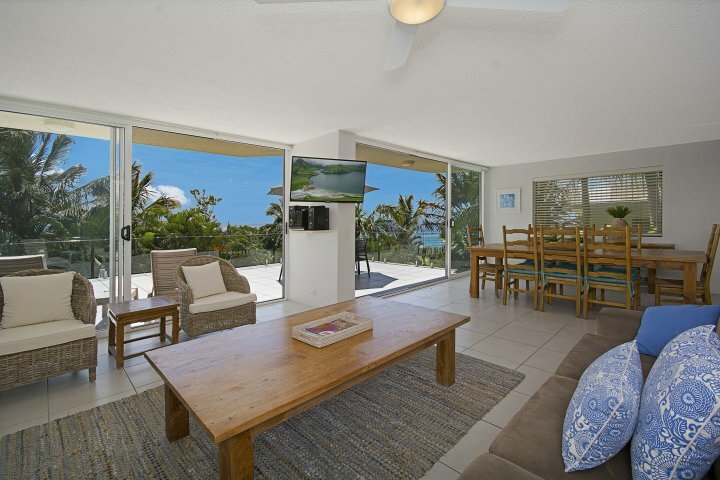 Additional charge of $45.00 per day apply for additional guests, limits apply. 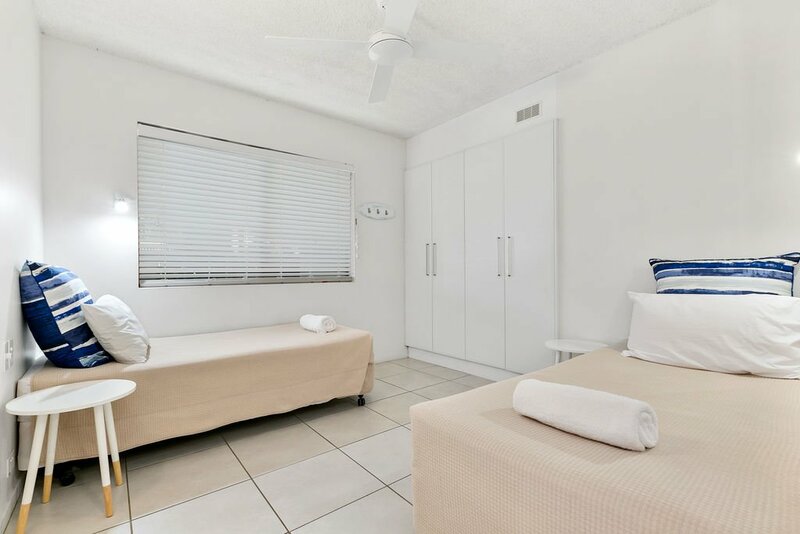 Secure underground parking is available at 1 space for 2 bed apartments and 2 spaces for 3 bed apartment, curb side parking in public areas.